You’re invited to a year-long Joy Ride. Diving into Bliss, the Outer Reaches of Inner Joy. the result of a twenty-year study assignment from Jean Houston to create a philosophy and practice of joy. 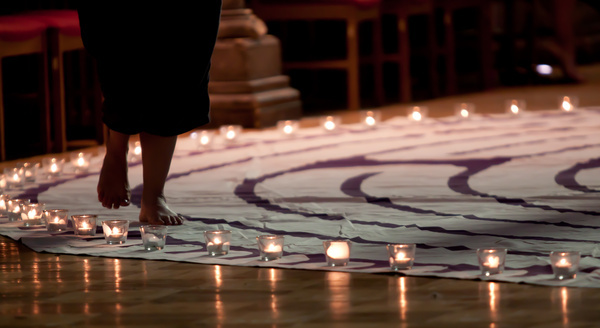 We will engage through stories, music, movement, laughter, all the while seeking encounters with sacred beings created from joy, and making space for them in our lives. Our March weekend: Creating Bliss through Joy. For June: Practicing the Presence of Bliss through Joy. For September: Serving the World with Bliss. For November: Blissful Blessings for all Beings. Come to all four, or come to one. Checks payable to Elizabeth Austin, mail to Elizabeth at 395 Pearl St. #4, Ashland, OR 97520. Memo: Diving into Bliss. Include name, email and mailing address, phone number. You are not registered until we receive your payment by credit card, Paypal, or check. Details will be emailed to registrants upon receipt of your payment. Receipts for credit card and Paypal payments will come from Athena Associates. Registration questions? Contact Elizabeth Austin (541) 482-4132 / mycoach@mind.net. What, you may ask, is a wiki? When you hear the word ‘wiki’, you most likely think immediately of Wikipedia, the famous online encyclopedia. More recently, WikiLeaks, the source of most leaked government secrets in recent years, has been grabbing headlines. The important part of wikis—what makes them different from any other type of website—is collaborative editing by the users. Think about that for a moment: the ability for the users of a wiki to collaboratively edit it. If you can read it, you can edit it. It seems simple at first, yet profoundly powerful in practice. Read more in depth HERE. 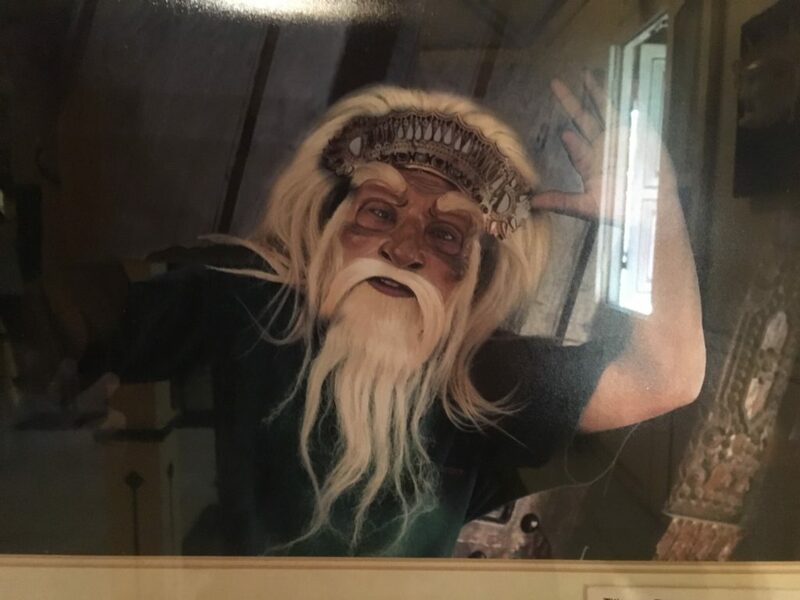 The changing faces of Sacred Theatre. One last hurrah in New Jersey (after more than 20 years) in October, with a focus on Creativity and Bliss. Jean’s focus this year is mainly on a world-wide endeavor to lift the spirit of the human race, and provide training in local communities in ways of being and doing in order to make a better world. Want to read about Peggy Rubin’s previous work? Posted here are excerpts from past newsletters sent out to those signed up for Peggy Rubin’s email newsletters. Click on the bar to toggle it open. When: Sunday, May 20, 2018, 5:30 pm. The Southern Oregon Repertory Singers, will be offering their final concert, “Baroque Majesty,” with performances of Handel and Bach, that afternoon at 3:00. This is a group that Betty greatly enjoyed; it is choral singing at its best. I’m inviting all interested visitors to get tickets to this event happening at the Southern Oregon University Music Recital Hall. Call for tickets: 541 552 0900; or visit their website: repsingers.org. After the concert we will return to the Village Gathering Place for our celebration. 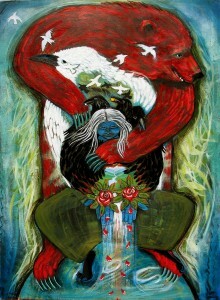 Our friends and teachers Loretta Afraid of Bear and Tom Cook will be with us to provide a sacred pipe ceremony. 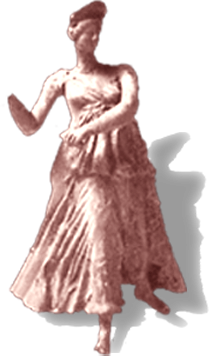 Betty participated in one of the first American Horse, Afraid-of-Bear Sun Dances, and will forever be known as Sister to the other dancers. 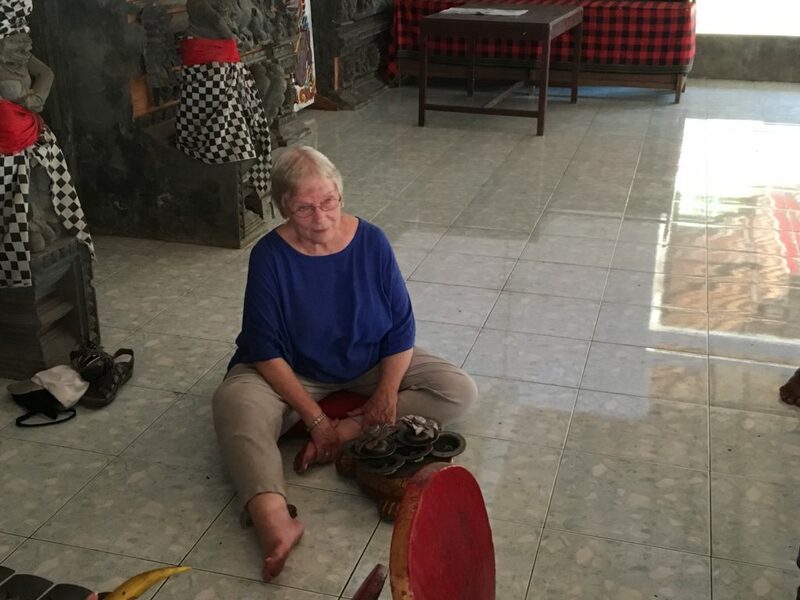 As Loretta said, “Betty has now seen Creator face to face, and we want to honor her life with this ceremony.” Other plans have not yet been formalized. What: An ecstatic party to honor Betty Rothenberger. She has danced off this mortal coil and is no doubt happily visiting other realms. While we are bereft and saddened and feel the huge loss of her active beautiful presence in our lives here, it is also a great joy to celebrate her rich and amazing story. A story that is all praise, all wonder, all grace, all wisdom. With much music, delicious food and drink, dancing, and words of power and wonder for Betty. Please join the party. We’re going to climb a mountain, an Everest of a mountain. It’s called Shakespeare’s Brain. Grab your boots: you’re invited. We will be making a perilous and thrilling journey. Into the caverns, the canyons, and the craggy heights of Shakespeare’s brain, his teeming brain. Actually our goal is even higher than that. We’re asking Shakespeare to allow us to use his formidable mind as a kind of ladder, a rope tether, a spelunking device to discover and claim for our own lives that sublime pristine lake that made his imagining, his invention, his creation possible. The pure mountain lake that holds the essence of true joy. The sweet icy clear water that contains the source of true joy. As we drink the holy water of that highland lake, we will find courage and delight. Enough to come home again to this world, this time, bringing bright treasures to help restore ourselves, our communities, and our place on the Earth to joyful new life. Big promise! Say Yes! We can. It’s possible, especially with Shakespeare’s words and music as guides, providing patterns, ideas, methods, energies, and human creative wisdom as we travel along together. The heights may make you giddy, not from lack of oxygen, but from joy, sheer joy. Four Sessions in 2018: Come to all, come to one. You will be welcome. The Wisdom School of Ubiquity University continues its elegant tribute to the Seven Liberal Arts of antiquity with a study of Geometrica this summer, July 1-7. 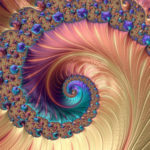 Led by Robert Lawlor, author of Sacred Geometry (and many other books), and Jain 108, writers, scholars, and masters of the art and philosophy of number, of sacred design and the making of universes, the summer course promises amazement built on amazement. The “regular faculty,” includes the luminous Karen Rivers, brilliant Jim Garrison, ecstatic Andrew Harvey and beautiful Benafsheh Sayyad, among others. I get to participate in their divine play. You’re invited too. wisdomuniversity.org/Chartres2018. One plan for the New Year 2018 is to review, re-calibrate, reseed the archival Mystery School material and other work Jean created over the years into new forms and formats. And I will continue to assist her in presenting her latest thoughts, studies, and excitement in several different workshops and salons. 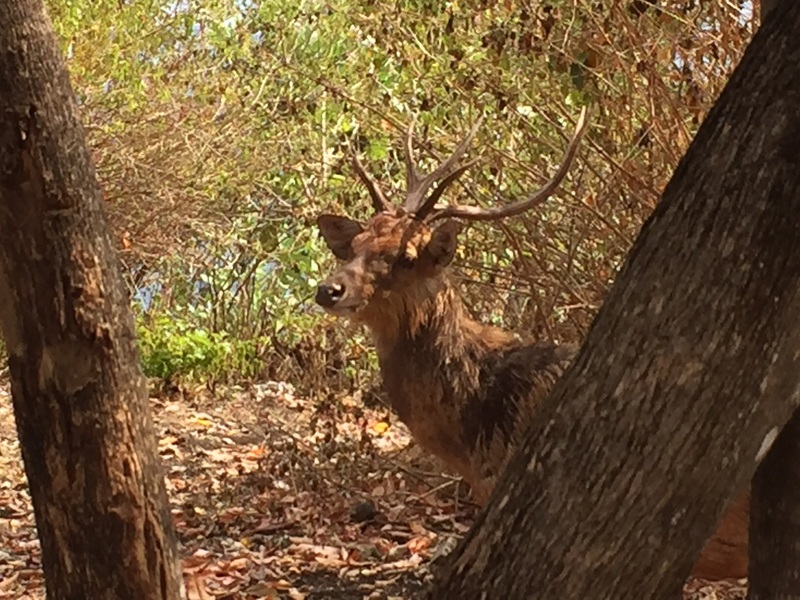 Including “Everyday Life in the Quantum Universe,” at magnificent Esalen Institute, March 18-23. What could be more exciting or more beautiful. Esalen.org/workshops. The amazing musicians Denise and Gerry Dignan are leading their Magical, Mystical, Musical Ireland tour this summer, in late July. I can’t go this year (attending and teaching at Meridian University instead) but want to make sure you know about it. The Dignans know the country intimately, honor its stories, and guide you to and through its mysteries in music and song and holy wonder. Contact Dignansong@aol.com. Shakespeare, the Soul of the World, and the Goddess of Complete Being. A new series by Peggy Rubin in 2017. In Ashland, OR at Hidden Springs Center. All start on Thursday evening, end on Sunday afternoon. Exact times tbd. THE SHAKESPEARE EFFECT: WHAT IS IT? Those are Ben Jonson’s words about his fellow playwright. I echo them and want to dive into the Soul of the World using Shakespeare’s words as wings. Our guide will be the Goddess of Complete Being whose name comes to us from the poet Ted Hughes. He wrote a spectacular study called Shakespeare and the Goddess of Complete Being. This book provides both inspiration and a mythic/psychological text for our gatherings. Joy, excitement, renewed creativity, new vision and increased appetite for life. Plus the pleasures and challenges of forming and participating in an engaged community. Who could ask for anything more? Month by Month Reflections for the Year of Joy. This Year of Joy calendar gathers nine steps along the Path of Joy into nine months, composed of four ten-day weeks. The weeks invite you to explore joy through each of the four elements: earth, water, fire, and air, which can be experienced as metaphors – the fires of passion, for example, or the tears of sorrow – as well as richly concrete in themselves. The nine months, 360 days, come to an end on December 26, leaving five intercalary days before the Year for Joy begins again on January 1. READ THE MONTHLY PRACTICING JOY. Thirty years ago, on January 10, 1987, to be exact, a new adventure for the Labyrinth began. A snow-covered open field near the “Field House,” a huge gymnasium, on the grounds of the Greenkill Conference Center in upstate New York. The snow is several feet deep. Jean Houston and Robert Masters are offering the initial session of a two-week residence as part of a three-year training program in Human Capacities. Robin Van Doren, Jean’s teaching partner, who has a vision. Frank Hayes, assistant to Jean, and veteran of an earlier course. Betty Rothenberger, also a veteran of the earlier training, guide and mentor to first time students. Anne Georges, chef and Celtic wise woman. A group of students, 100, or so. 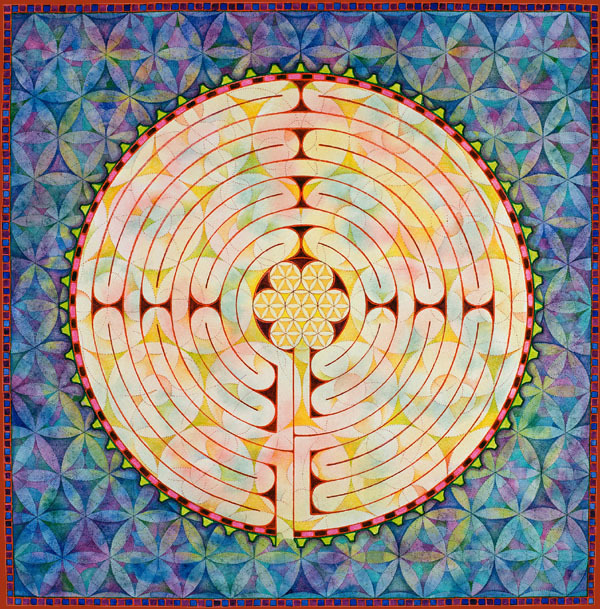 The labyrinth has served as a symbol of Jean’s work for many years; she is devoted to the study of primal patterns, and inspired by a mysterious story called “Dromenon,” by Gerald Heard, she calls the labyrinth Dromenon. This name comes from the ancient Greek mysteries, which included “things done,” “things heard,” and “things seen. “ Dromenon is the word given to things done. Robin Van Doren envisioned a huge Dromenon laid out in the snow in that field at Greenkill. She spoke of this to Jean and then spearheaded the engineering program needed to dig the pattern in and through the snow. Her helpers included Frank, Betty, and Anne, and many others. 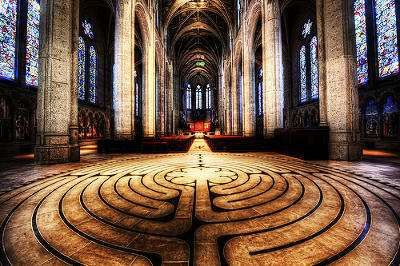 This is her school of spiritual studies, with the labyrinth as its primary symbol. Also, in the early years, at Greenkill Conference Center. So powerfully did this Dromenon pattern fall into the waiting world that Brian Porter elected to lay it down with masking tape on the floor of that Field House gymnasium every Friday evening so that it would be available for walking throughout the Mystery School weekend. 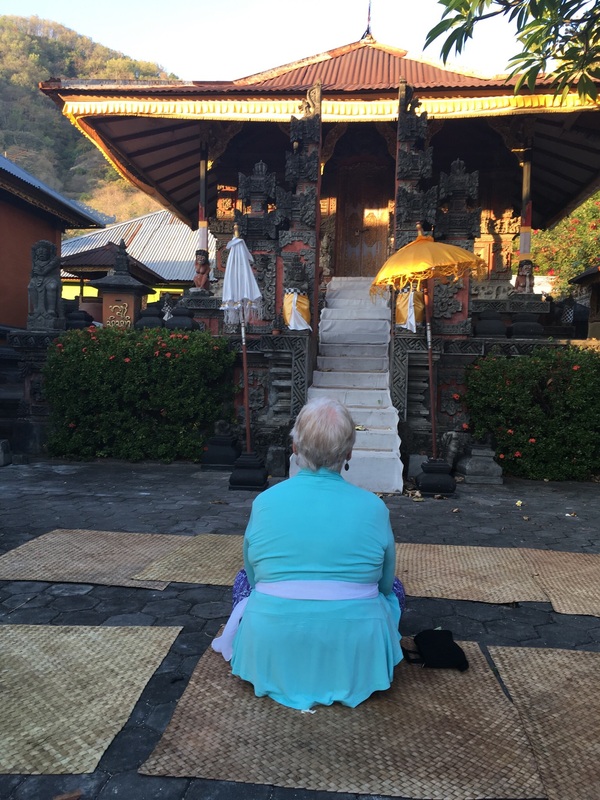 Lauren Artress, canon of Grace Cathedral in San Francisco, had attended an earlier Mystery School of Jean’s, and while on sabbatical, came for a visit one weekend. She walked the Dromenon. And the rest is history. 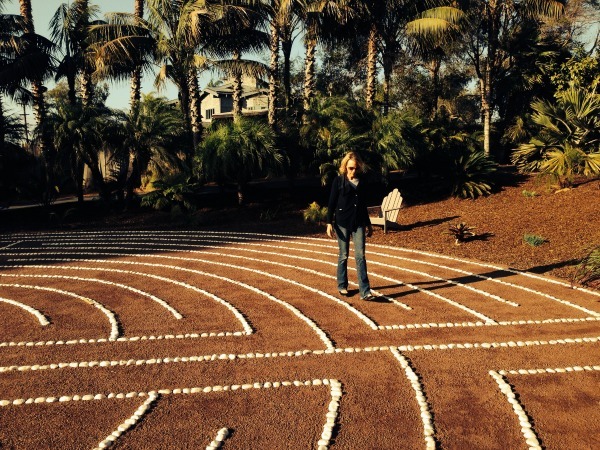 Lauren combined the labyrinth with her elegant teachings based on the inspired work of Hildegard von Bingen. She had the pattern laid inside and out of Grace Cathedral in San Francisco. Daringly she even persuaded the Church masters at Chartres Cathedral, home of the pattern, who had done their best to ignore the pagan embarrassment on the floor of their great “Cathedral of the Black Madonna,” as the French scholar Jean Markale calls it, to move the chairs off and give the public the opportunity to walk it at least once a week. Today they acknowledge that its history is said to go back to Cretan times, when the renowned artificer Daedalus built it to wall in the Minotaur, the half-man, half-bull who demanded human sacrifice. With the help of the Cretan princess Ariadne, and her ball of thread, the Greek hero Theseus made it to the center, fought and killed the monster, and made his way out again, following the thread Ariadne had given him. 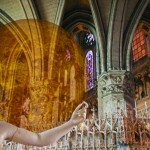 In recent times during the Easter holidays, the bishop of Chartres Cathedral tosses a ball of golden thread to people standing around the labyrinth, reminding them they are part of the web of life and held safely in the church’s arms: just stay connected! is the message. Medieval pilgrims gave it a different meaning. 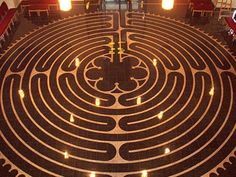 If unable to make the sacred journey to Jerusalem, they could walk the labyrinth with the same intention, and achieve equal spiritual merit. 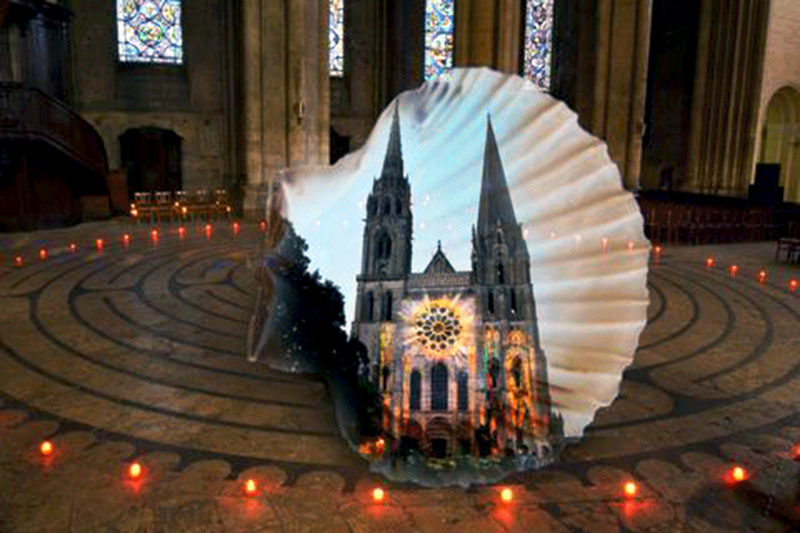 Some of today’s pilgrims travel with Lauren to study there in Chartres and to walk the sacred pattern bathed in the light of the great rose window, created to the same dimensions as the pattern on the floor, one of many mysteries and miracles created by the visionaries and builders of this queen of cathedrals. Scene Five: Today. December 21, 2016. 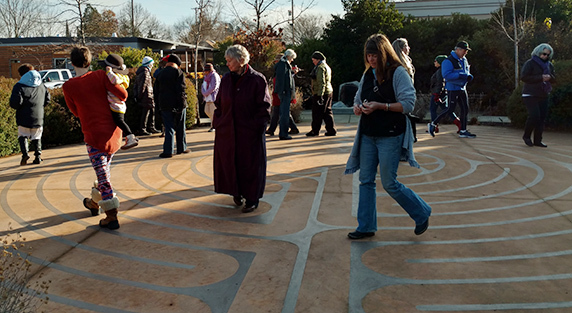 With friends, walking the labyrinth outside Trinity Episcopal Church in downtown Ashland, Oregon, (one of several here) placed there by another for whom the pattern came as a gift of grace, power, and passion. I am anticipating the New Year’s Eve ceremonial walk guided by Elizabeth Austin, (for the 18th year) another Mystery School veteran, who participated in Lauren Artress’s course, and brought the labyrinth to this town. This is the day when the earth’s turning begins to bring in new light. I walk the pattern, pondering the age-old weaving of darkness and light, a time when the shadows are long on this country and on our world. What is there at the center? The Minotaur to be slain, at least as he lives in me, or is there an answer and streaming light, only light? As I understand Carl Jung’s warning about the human shadow, it’s not about lighting a candle in the dark places, but making the dark places visible. Not only is the darkness visible now (or what I consider to be the major shadow stuff of the United States, namely racism, misogyny, xenophobia, power madness, and profiteering) but also we have elected representatives of this shadow stuff to govern us. A friend described her feeling about what’s happening: “a bag of hatred has been torn open and is pouring down on all of us.” She went on to say that grumpy people used to keep it to themselves or just make their friends and families miserable by spilling their anger, fear and hatred, but now they put it out all over social media, and ignite the same fearful streaming in others, affecting us all in a bath of hatred. I keep walking toward the center; the sun shows its beautiful face for the first time in days, and the sky turns blue in the sun’s warmth. Friends are all around, also walking toward the center. At the center it is possible to gaze at the world all around, 360 degrees. And there is only gratitude for all of it. The part of our “shadow stuff” that is mine to acknowledge, mine to claim, mine to integrate, I can do. I will do. The Dalai Lama teaches that all of our angers and hatred come from fear. On this Labyrinth walk, at the turning of the year, I can lean into my fear, work my own shadow hatreds and angers, (eat them, as the poet Robert Bly advises), and pray for others also caught in these debilitating snares. The Minotaur will not be slain by me, at least. But I can thank it for its lessons, at least one of which is new awareness of my country’s pain and puzzlement. 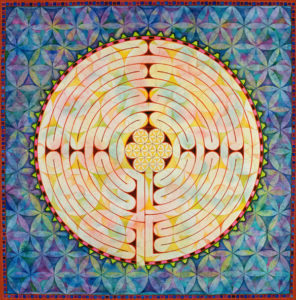 And there is light at the center of the Labyrinth. “It was a snowy January 30 years ago that I was called to attend my first Mystery School. Yes, I was there. 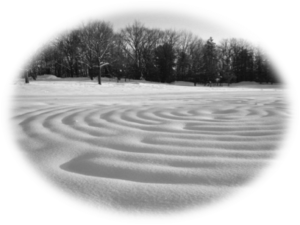 The labyrinth was majestically carved into the snow. We assembled, we 100+ souls hand in hand on a pilgrimage that was to have echos through the decades. That evening as the sun set and moon rose we became one being moving relentlessly thru the curved pathways, at times orbiting far from centre, at moments a mere step away. It seemed that we recreated the phases of the moon as we trundled on, now a full circle forming, then we were a half moon waxing and waning, shaped and shifted…hand in hand, mere particles of the whole of the great whole. Over the years that followed I dreamed of labyrinths, drew them, walked them and finally constructed one on a plateau in Costa Rica. 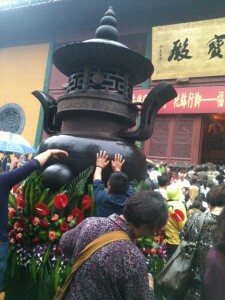 It was auspicious. David Bowie passed on Jan.10, 2016, 29 years later to the day. The next day I began construction. Googling the design gave me Bowie,who had appeared in labyrinth the movie. His death deeply touched me. His range creativity and heart have inspired me since I was young. 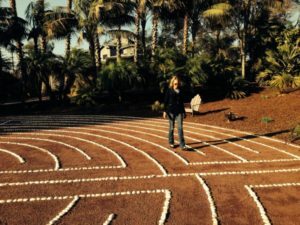 I sang his songs as I moved the 100’s of rocks into place to form the labyrinth. I am deeply grateful for the powerful, potent snowy pathways packed down by us pilgrims as we danced the phases of the moon, and to all who journeyed that night carrying the pattern forward through time. 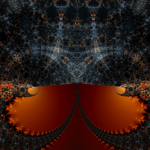 “Thank you Peggy for sharing the fullness of this story of the labyrinth. Prior to the whole group of us gathering, there was a smaller team of rag tag folks who scouted out the site, directions and centre. As the vision was taking shape, I was in the fieldhouse. 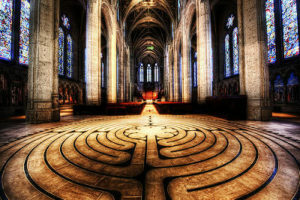 It was as if a silent arm went through gathering a few folks who would discern where the labyrinth would be laid out. Did Betty wink at me? How did I know to join them? But I did. 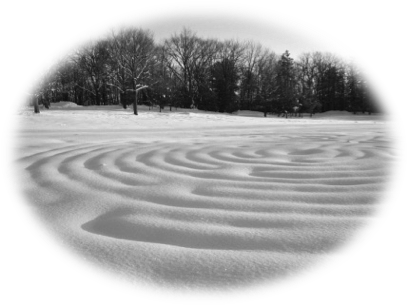 We went out into the snow-covered field and began to envision where we would place the labyrinth. Whispers went throughout the small ragtag group about what we were going to create. 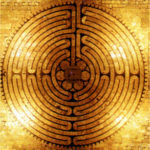 This was the first known time the labyrinth would be laid out. We fumbled to lay out the 4 directions and then the centre. How big would the circles need to be so we could all walk into the centre. We had the sense that mystery was surrounding this endeavor. We were not alone. I often think back to this time and realize it was when I was ‘marked’ to be part of the unfolding of the mystery school on this continent. I’m packing today to take the teachings to Colquitt, Georgia in January and Aruba in February. The field continues to grow. 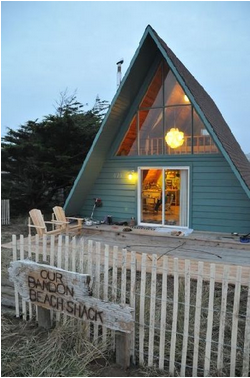 This is the cottage for my “Writing Retreat at the Oregon Coast” which your kindness and generosity have given me to produce a Book of Joy [READ MORE]. As well as other writings that form part of the ongoing, many-years mystery calling itself A Book of The Lady [READ MORE]. Thanks to you I will be able to spend three months here, reviewing, winnowing, smiling, howling, despairing, laughing, working, and sending blessings. Plus actually putting words to paper that celebrate my love for The Lady and Her stories. Your name I will sing out in gratitude to the ocean waves and tides, trusting that their sumptuous energies will bathe you in joy for the goodness you have shown me through many of my unbelievable 80 years. May you be imbued with happiness and the causes of happiness. 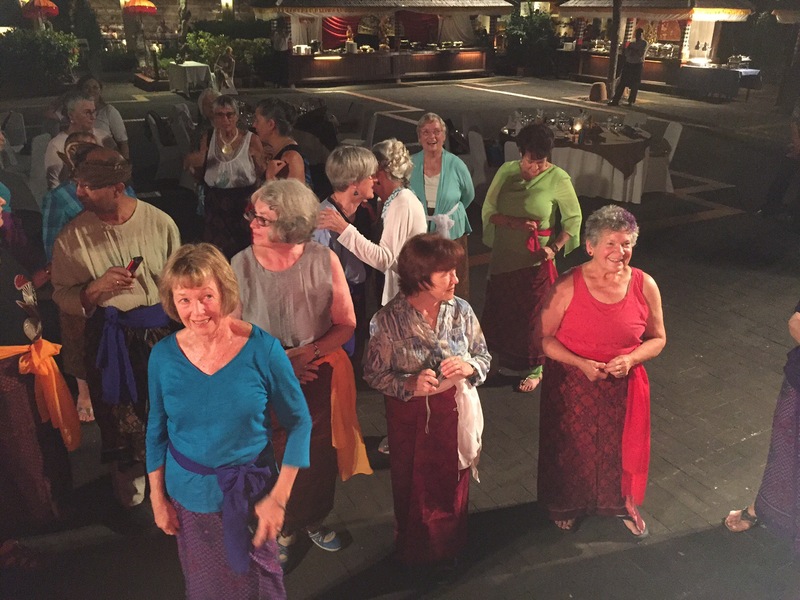 Some 30 souls who enjoy travel adventures with Peggy and friends, will be traveling to Bali in September, 2016, to experience true magic and mystery on one of the few remaining places on earth that feels like visiting another planet. Want to join us? This is Peggy’s last trip of this kind, and it looks like we have a slot or two open for others to join us. No sooner had I found the title for this year, “Touching Into the Soul of the World,” than I received an internet mailing from one of my favorite genii, Michael Meade, introducing a focus for his year, “Touching the Soul of the World.” Being Michael Meade, the world’s best storyteller, he will focus on stories and poems. And soul. My own title is slightly different. . . . Four workshops: Duluth, Georgia; Lake Huron, Michigan; and two in Ocean Grove, New Jersey. READ MORE. READ MORE about what’s planned for this exciting new series and sign up for the PREVIEW. 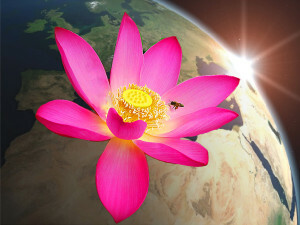 Imagine a lotus flower born from the earth and covering the earth. This magic lotus has eight petals, each petal lifting up, filling the world with one particular aspect of joy. Explore the monthly reflections for the Year of Joy HERE. 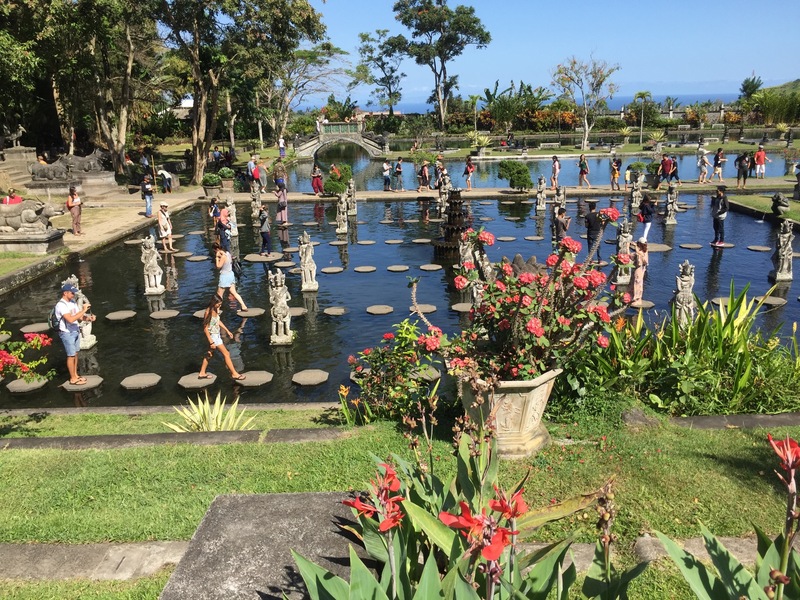 This is a dream trip to that magic land of Bali, organized by Alexander Joy, a man who lives in Bali and leads Eco-tours to the islands and countries of Southeast Asia. 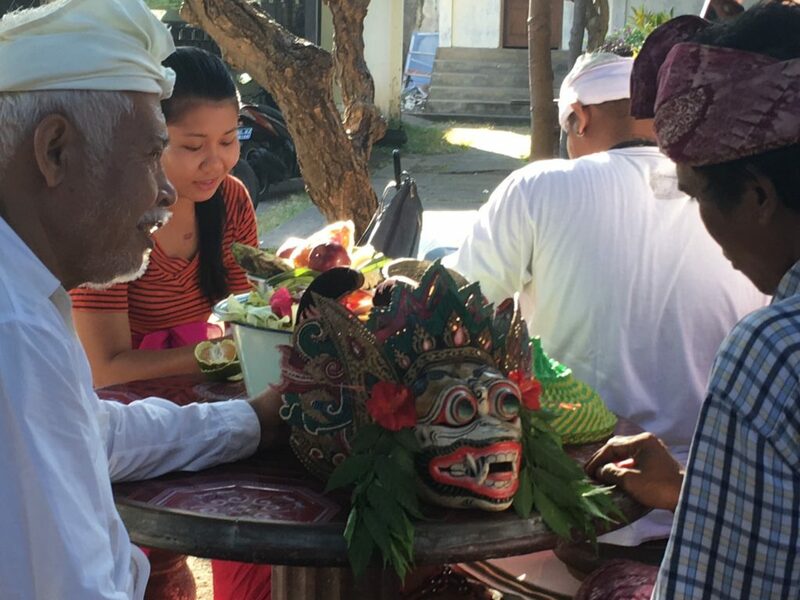 He has been working on this trip to Bali since 2014, knows the places intimately, has secured the perfect people to teach and lead us, and will transport us to the sacred sites and ceremonies. 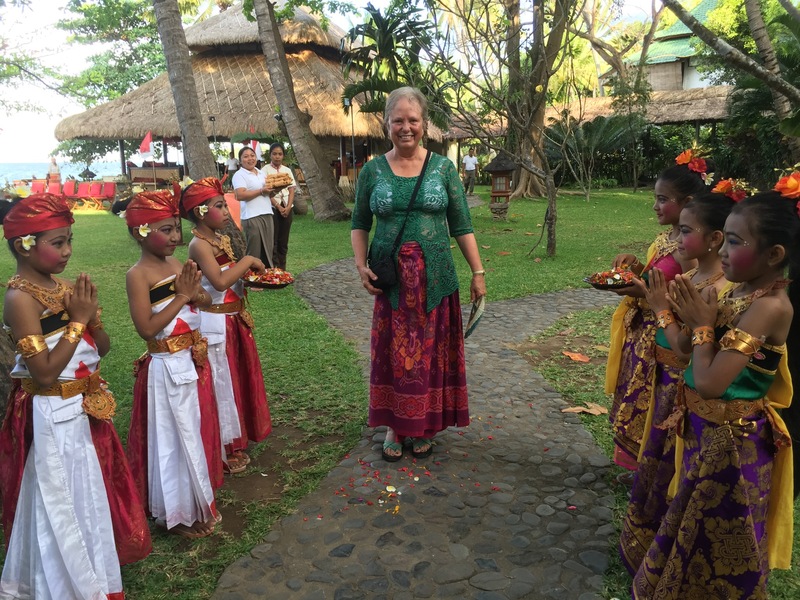 2016 is the culminating year of a three-year program devoted to study of, and attention to, the active presence in our lives of the Divine Feminine, and this trip to Bali will be the great celebration of these years’ learnings. It is open to any adventurers and joy lovers (a small group of 30) who may wish to experience true magic and mystery on one of the few remaining places on earth that feels like visiting another planet. 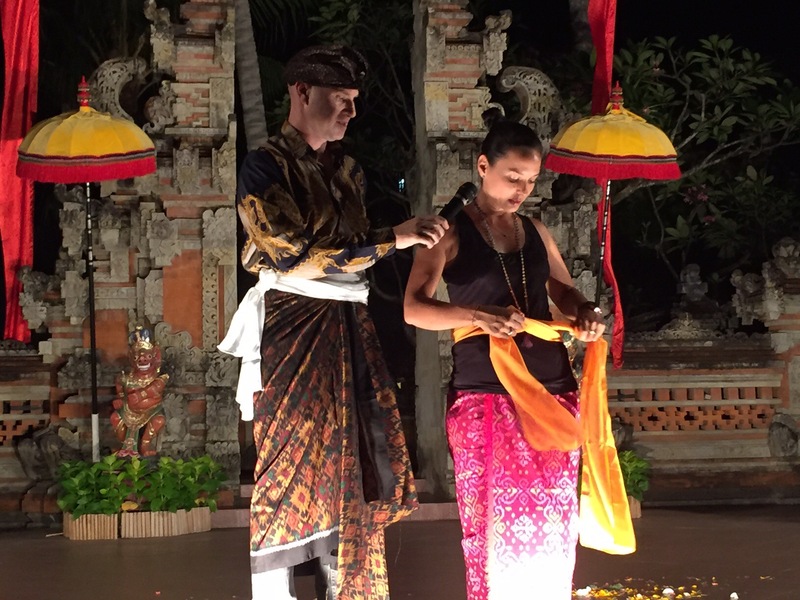 gamelan music, were welcomed by Alex, Kartika and Peggy, and received welcome packages with our own sarongs. I intend to post every now and then once we better master the technology. Stay tuned. Dancers invited us to come on stage and dance with them. 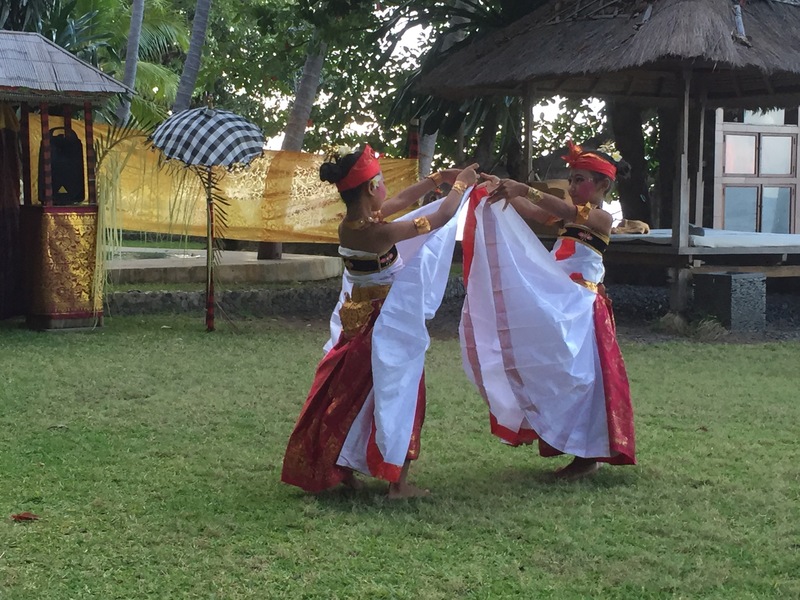 These two dancers beautifully enacted two courting birds . 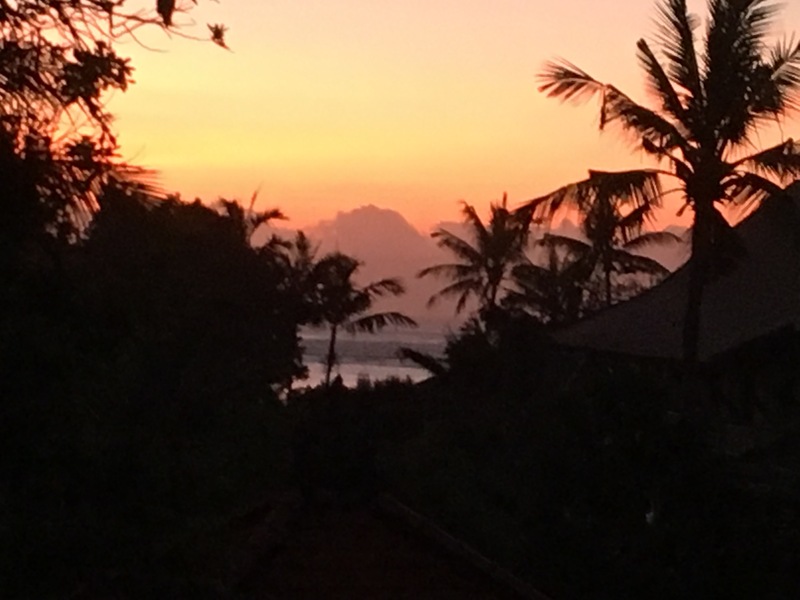 Early morning sunrise at 6 am from my balcony overlooking rooftops and Sanur Beach. 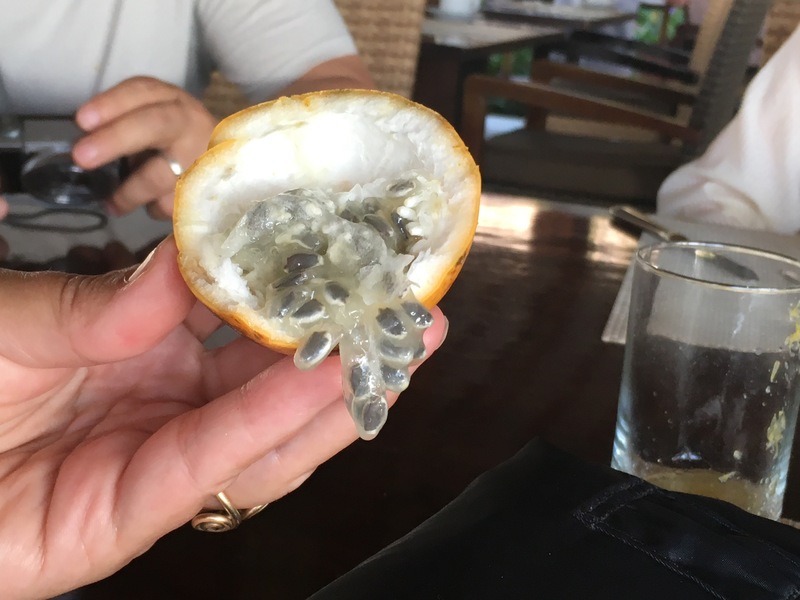 Our first Bali passionfruit. Looks not-so-good, but tastes great. 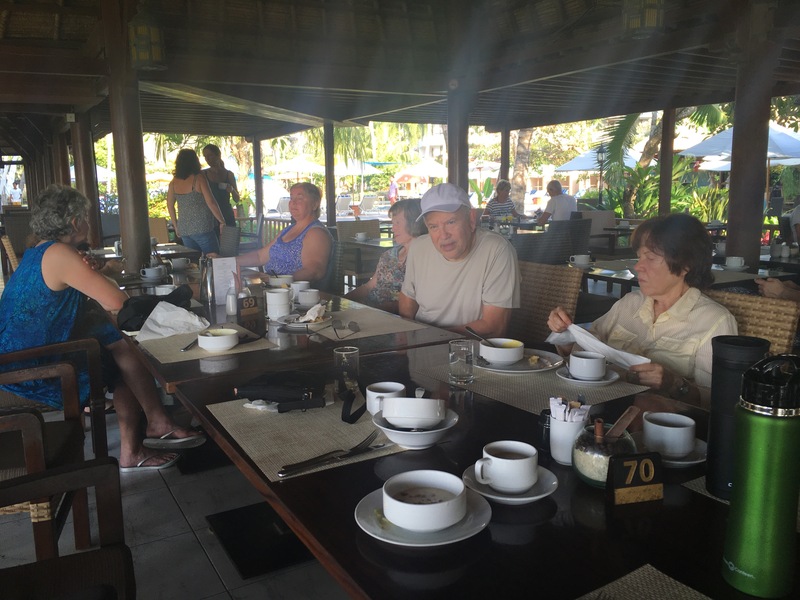 Our first excursion as a group we divided into 3 groups of nine for our longer drives. Three mini vans have mythic names — Ganesha (clearing our way of obstacles), Garuda (messenger), Wishnu (sustainer of the dharma). Within those we work in teams, our roles shifting as we travel. These are the roles : Dreamcatchers, Offerings to the gods at the beginning of each trip, Mystical encounters gatherers, Healers, Artists. 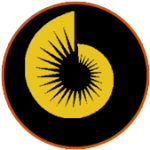 These provide a form for us to create a dynamic community within our group, Banjars they are called. In this land of cultivation, we will cultivate our verbs throughout our time here. 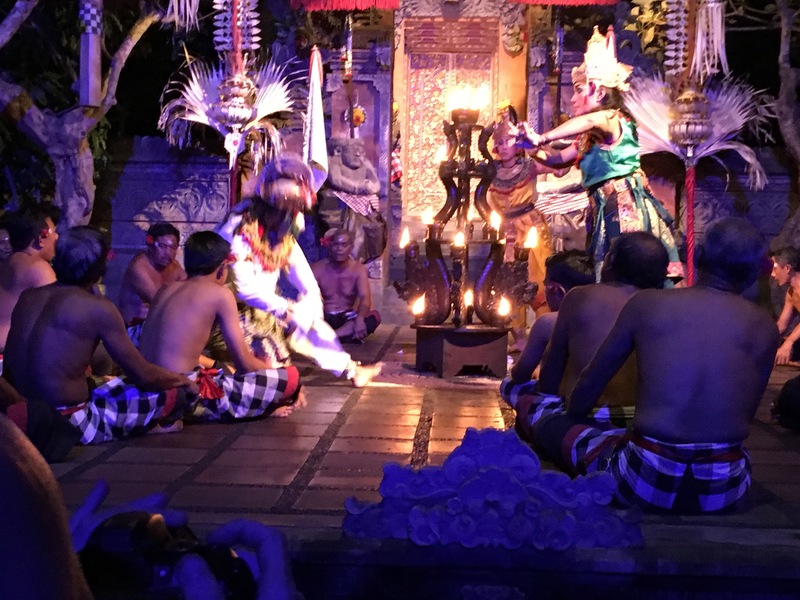 Last night we entered the magic of this high civilization nestled in a rural land by driving an hour to Batu Bulan for a truly entrancing performance of the Monkey Chant providing the “music” for a performance of scenes from the Ramayana. An opera of sorts, with other-worldly sounds and movement yet speaking to us about what it means to be human with wisdom and power. All of the stories here like this one — Sita abducted by the demon Ravanna, Rama with the help of the white monkey general Hanuman and his cohorts, rescuing her — all such conflict with strange to our eyes and ears drama is offered with remarkable skill by performers who labor in daily jobs and turn to this their chosen art by night, to bring balance to the forces of light and dark, good and evil. Bad guys are never destroyed here, just brought into line, so that balance is restored. After some research on how to load videos with this app, several clips of the evening’s experience will be posted next, hopefully. Warrior going into trance before dancing over hot coals. 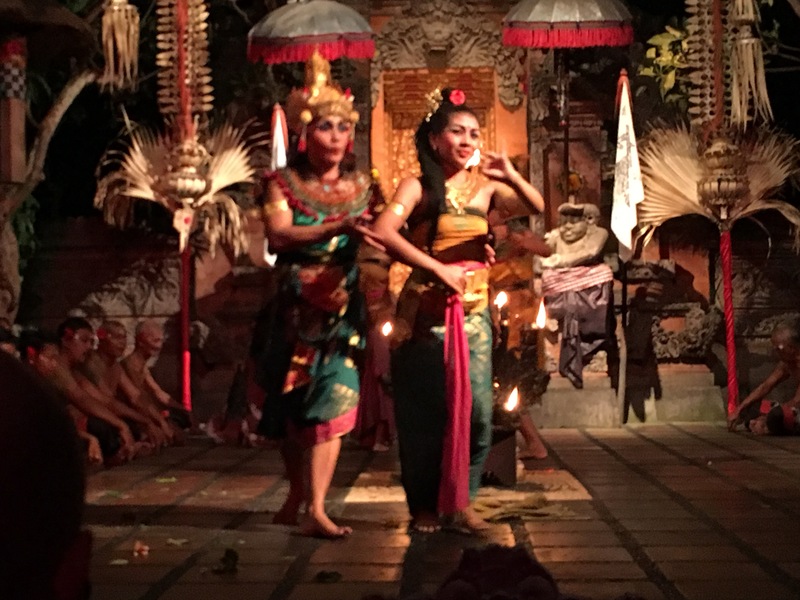 Rama and Sita reunited . 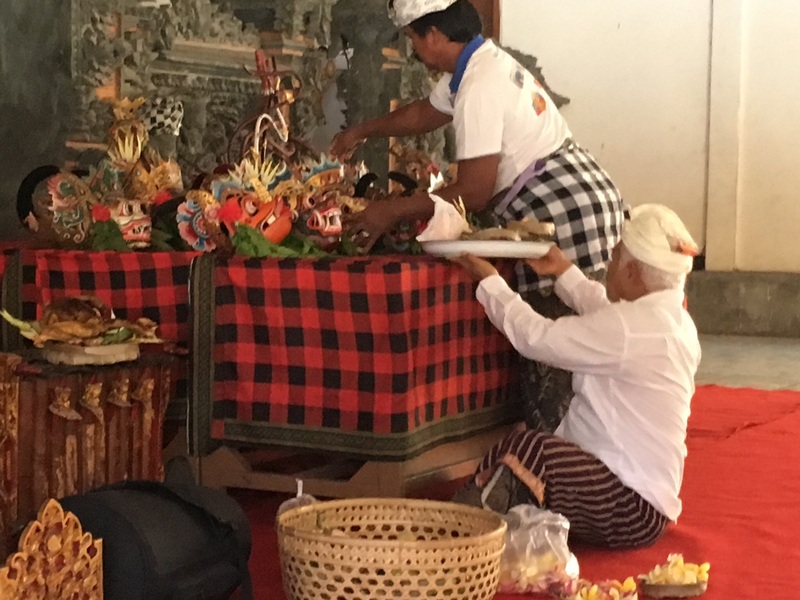 White monkey general bows before Rama offering his help. 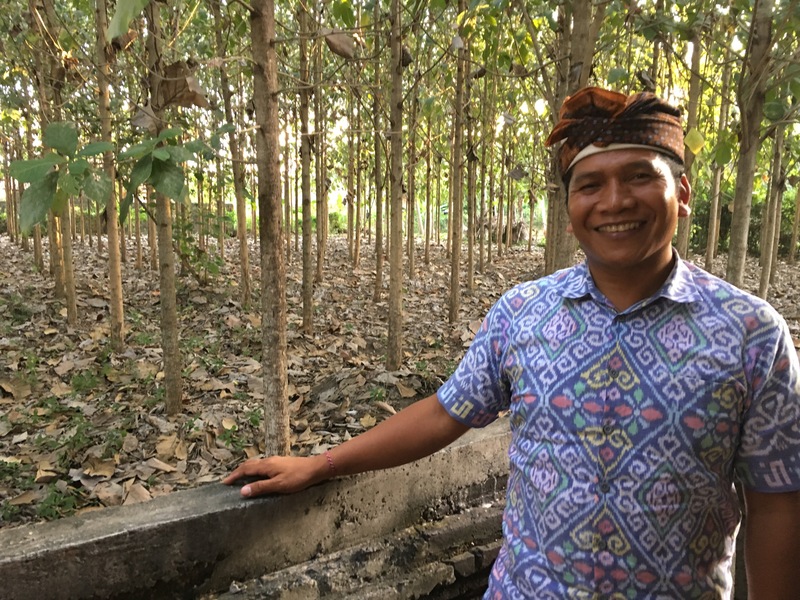 Our guide Nyoman stands before a grove of teak trees at the entrance to the outdoor theatre for the evening performance. 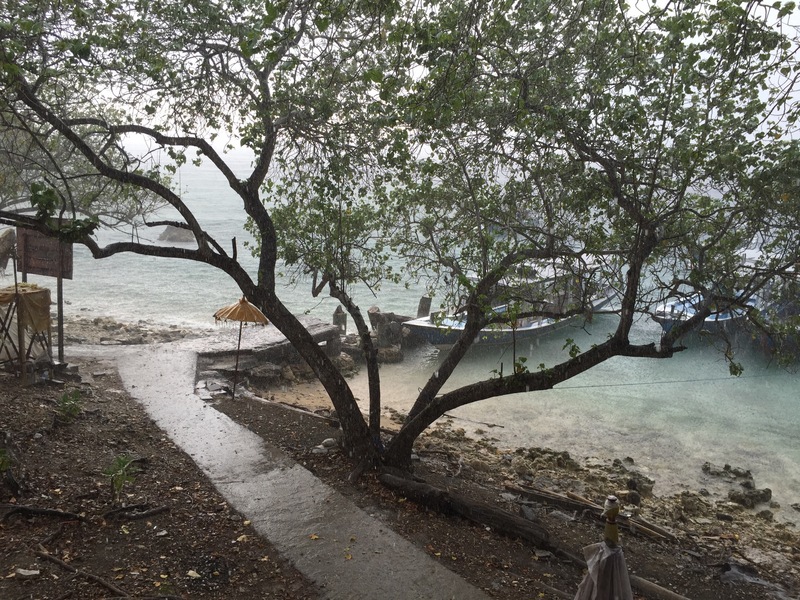 Internet is spotty at best so posts will be accordingly intermittent. 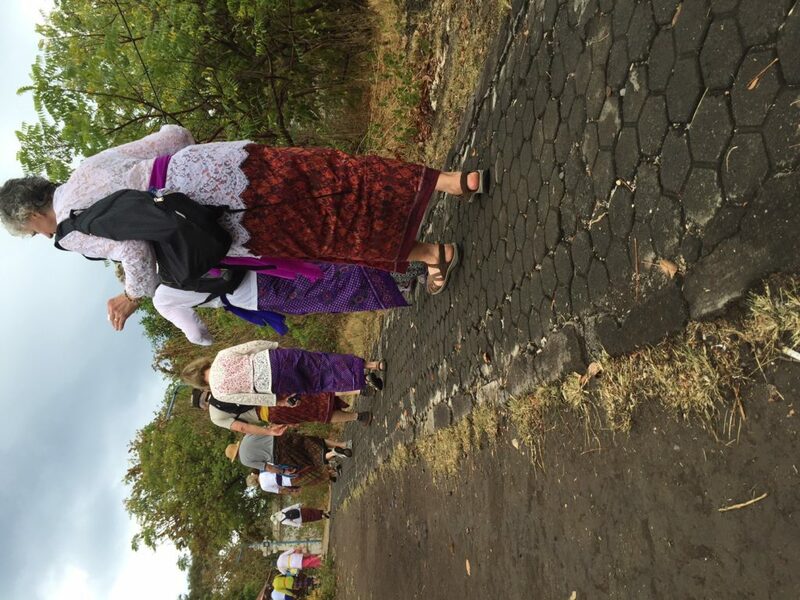 Day three took us up the east coast of Bali for all day travels, our first excursion with our traditional attire for sacred spots. 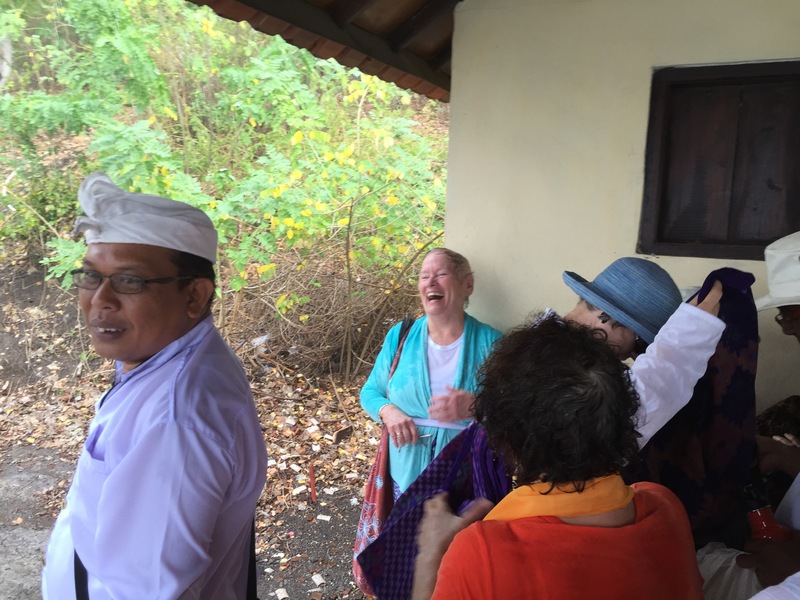 First stop was Kertha Dosa, site of the courts of the Kingdom of Karnangasem. 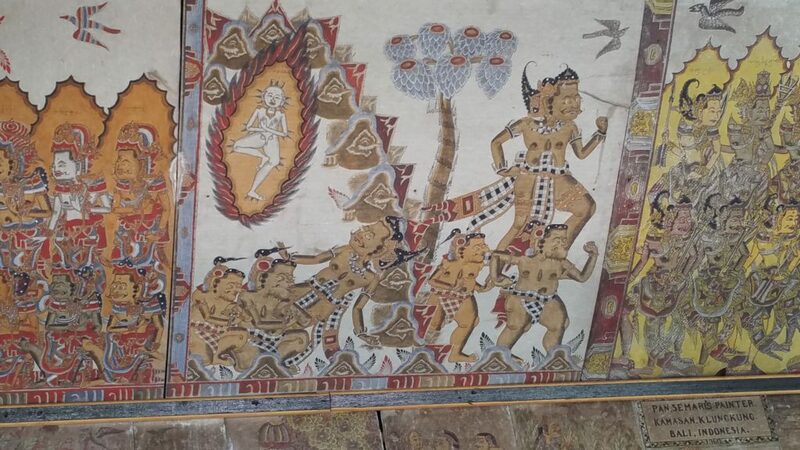 The cathedral like ceiling portrayed many stories of the Mahabharata painted in traditional style. A museum had examples of the dramatic history of the area’s resistance to the Dutch invasion centuries ago. Next we traveled to an artist’s studio where he worked outside with a young girl sitting at his side with her own art supplies. Shopping has begun here. Outside a statue of Ganesh held offerings to the gods. 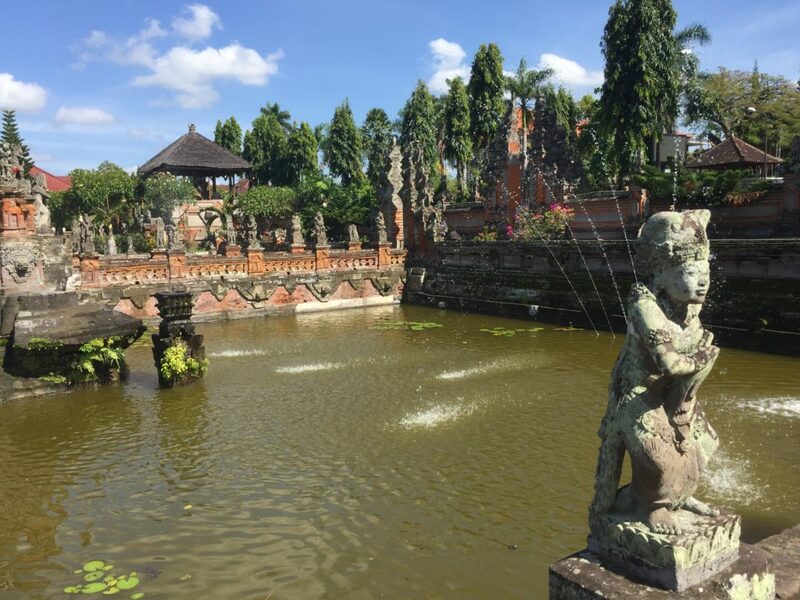 Lunch was enjoyed at a pavilion overlooking a Balinese version of a water park, a former water palace for Balinese royalty. Traditional attire first time out. 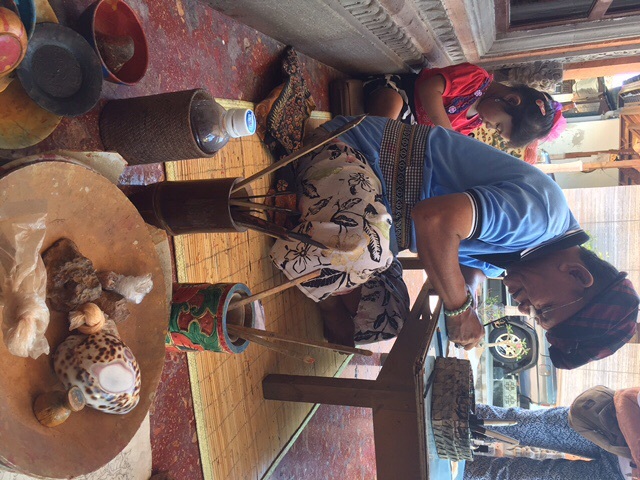 Artist painting in traditional style. 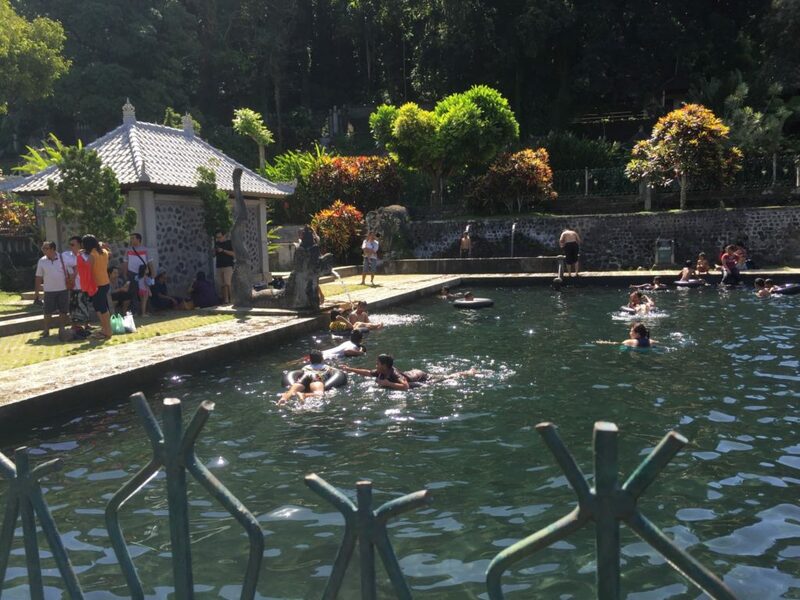 Balinese version of water park. 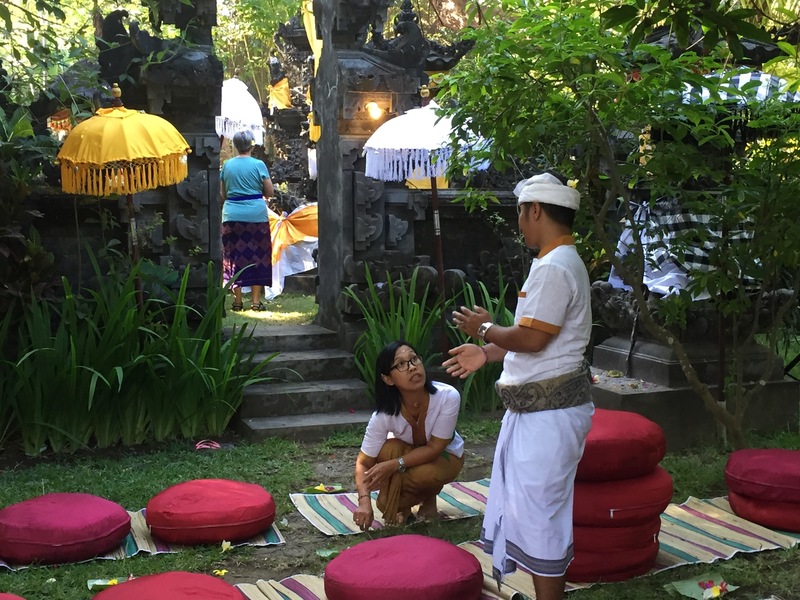 Seven AM Day 4, found us all gathered at Gaia Oasis temple in our traditional attire, learning how to pray Balinese style, in the way that everyone here does each morning with offerings of flowers, food, water and prayers in the temples that all have in their homes. 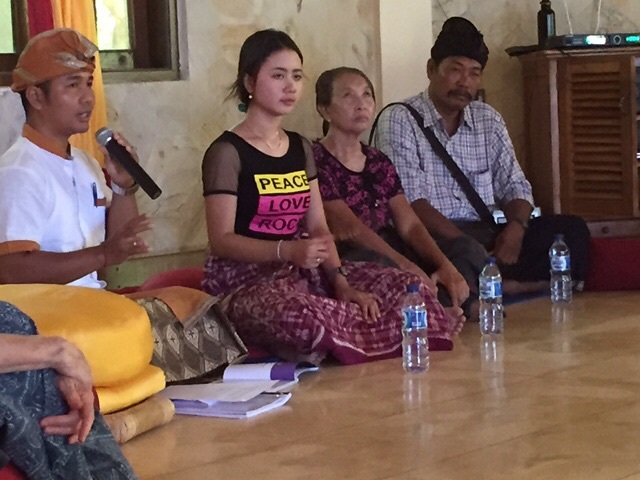 Eta and Puru at the temple following our prayers at Gaia Oasis home temple. 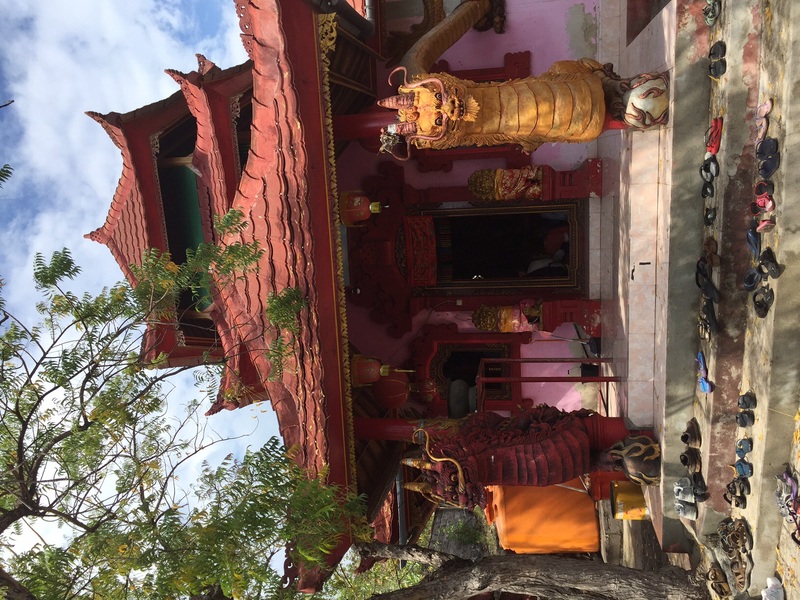 The photo shows the outer temple where we sat on cushions while our guide Eta entered in and gave flowers, water and rice to the three smaller temples inside, then to the outer guardian temple and the entrance. Then as we sat with a lighted incense stick in the ground before us and a little banana leaf packet with a handful of flowers for each of us, we accompanied his Sanskrit chanting by first raising an empty hand above our heads, then with a white or yellow flower and then placing it behind our right ear. Then we raised a multicolored flower and placed it in our hair. Then a gathering of several flowers which also went to our hair. One last prayer with our hands empty. This was followed by him sprinkling each of us with water and placed a few grains of rice on our foreheads and chest, easily sticking there due to our perpetual state of sweating, which has mostly become not so noticeable. 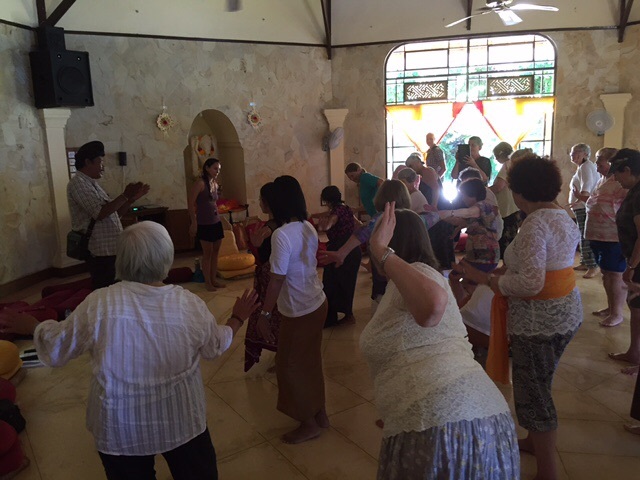 Then we concluded with all of us chanting together Om shanti shanti shanti Om. All of it blessing our coming day for balance within the natural rhythms of the world. 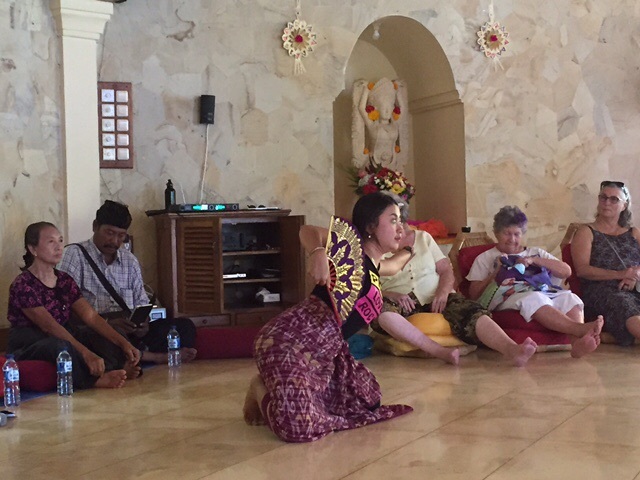 Mid morning we gathered in the seminar center, all very open-air (no air conditioning here anywhere) and met Ida, a master dance teacher in her late 70s and a master gamelan teacher who taught us in the afternoon, along with a lovely 21 year old dancer who trains with Ida. After demonstrating some of the basic movements of hands, feet and body, they helped us all have a chance to practice and especially to appreciate why children start learning the dance at 3-4 years of age. What may look easy is in fact extremely challenging, we can all attest to. However, We now know how to send a message of power to anyone with a glance of our eyes, a raising of eyebrow, tipping of the head, and raising of the shoulders. Dance is part of the religious life here, a fundamental of spiritual training that everyone learns and considers vital. Afternoon we traveled by car for 5 minutes to the community cultural center, this day a gamelan studio, as well as a badminton court. So while we chimed away on our various percussive instruments, a group of 6 boys played badminton in the background. 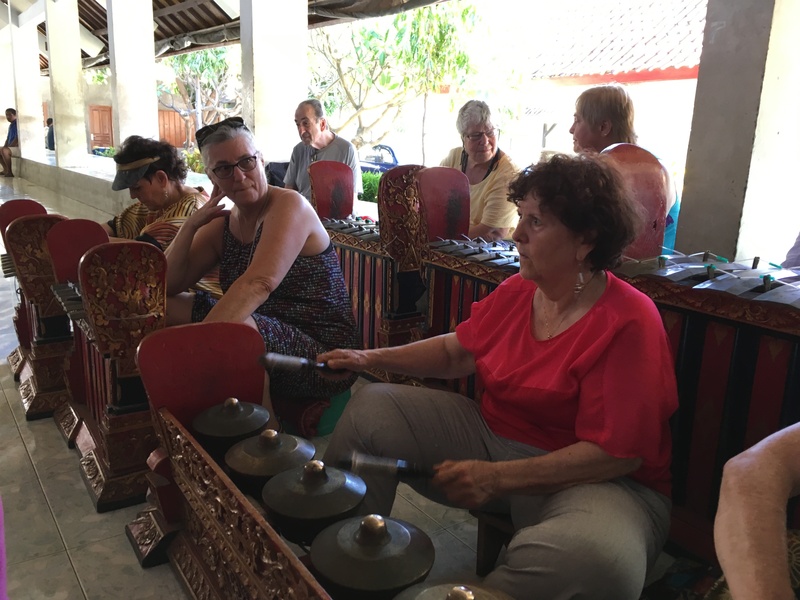 Again, we are in humble admiration for the artistry, precision and completely foreign to Western ears sound of the Balinese gamelan orchestra. 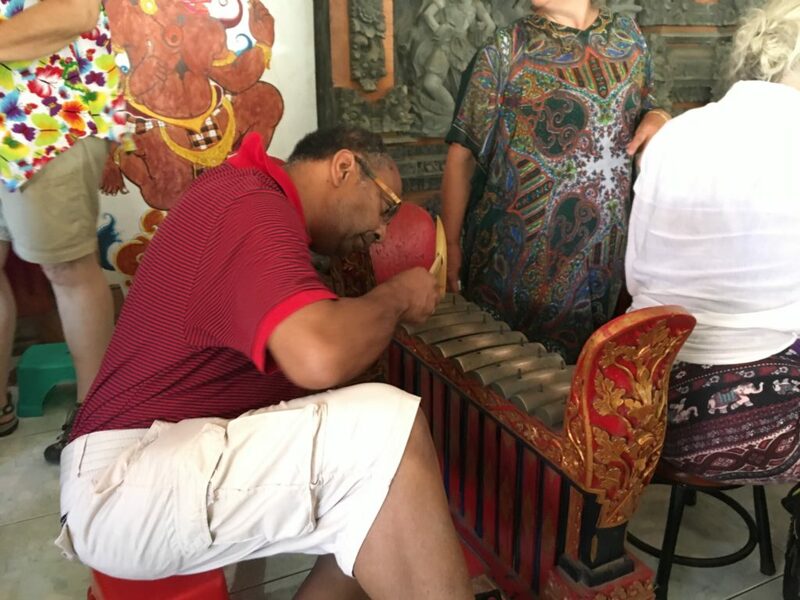 Our rhythmic beating of the various instruments blended into a sound of harmony at some points so that we had a direct taste of the artistry of our teachers. Video clip below of one of the demonstrations by our teachers. 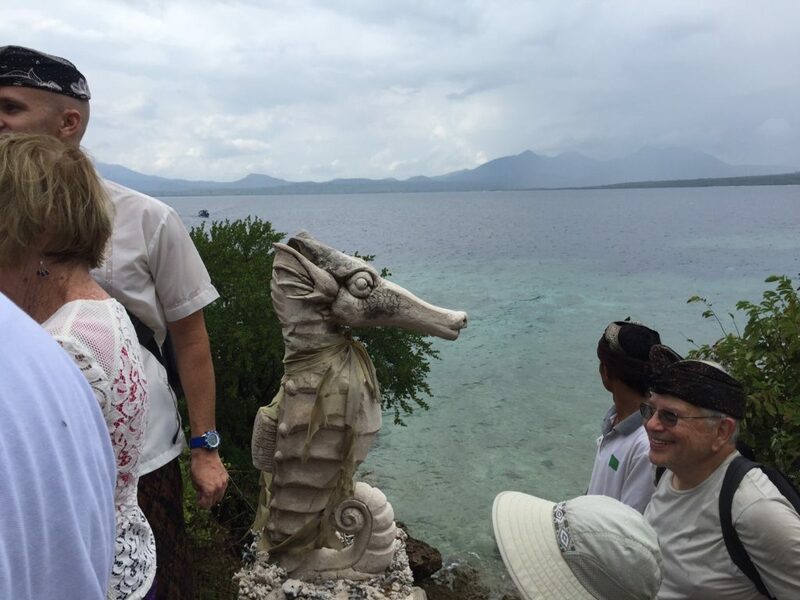 After a couple of hours drive through rice fields and villages, we arrived at Gaia Oasis, a beautiful beach side place which is also a foundation supporting education projects in the area. We are welcomed by girls who learn dance at the local school, supported by the foundation. 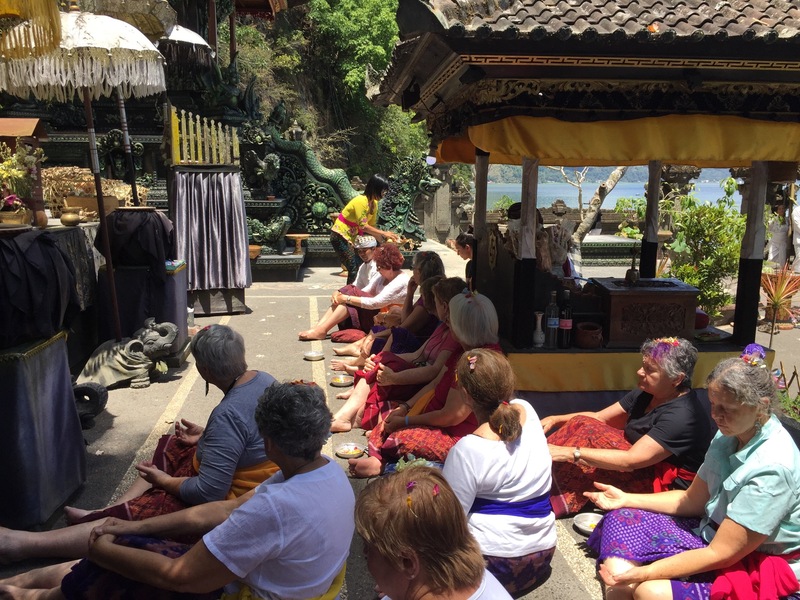 Two hours of driving into the mountains — up and up to Batur mountain range — to take us to Beji Songam temple, and Ulun Danu Songam nearby, the mother temple of the water of Bali, preparing for the once every ten years celebration for cleansing the water. 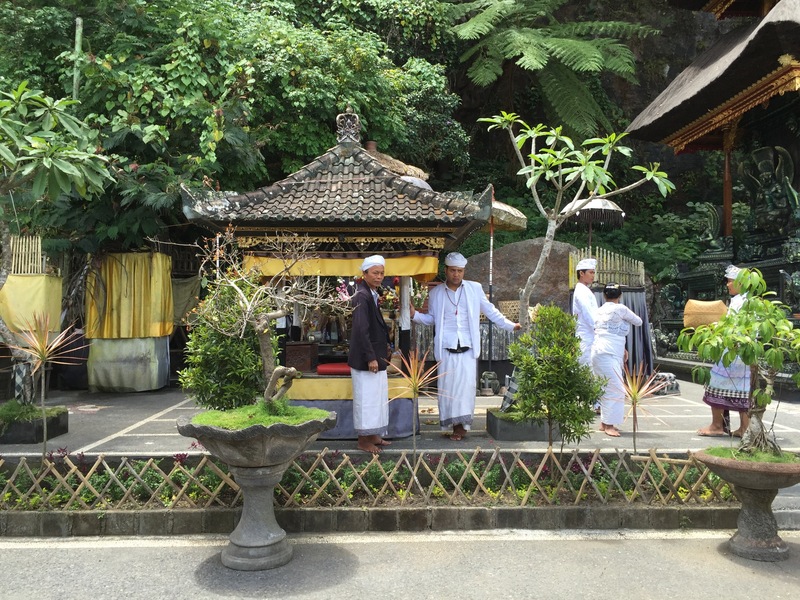 It’s inside the rim of a volcano in the Batur mountain and supplies clean water to this whole region of north Bali. 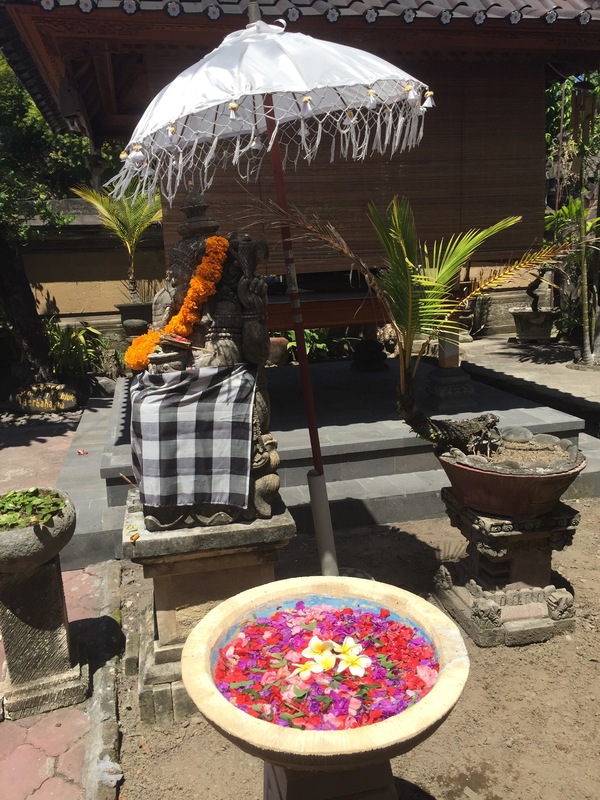 An auspicious place to be sprinkled with holy water mixed with yellow coconut water and flowers. Until recently one could expect to have a bucketful of water to accomplish this, thoroughly drenching the frequent pilgrims, but to replenish the purity of the water they have discontinued that practice for the next few years. The volcanoes last erupted in 1917 and 1926, engulfing the entire area which has been rebuilt since. Intellect, sins and penance with knowledge. When we pray, our hands together for first just above the forehead for the gods, then at the forehead for our minds, and then at the chest for the human dynamic. Rising before dawn to the shouts of fishermen outside our rooms at the beach preparing 14 fishing canoes to take us at 6 am out into the nearby waters to watch dolphins at play, Rocking gently in our little boats, 2 of us per boat plus the fisherman, we could look briefly directly into the sun as it rose like a red ball on the horizon. 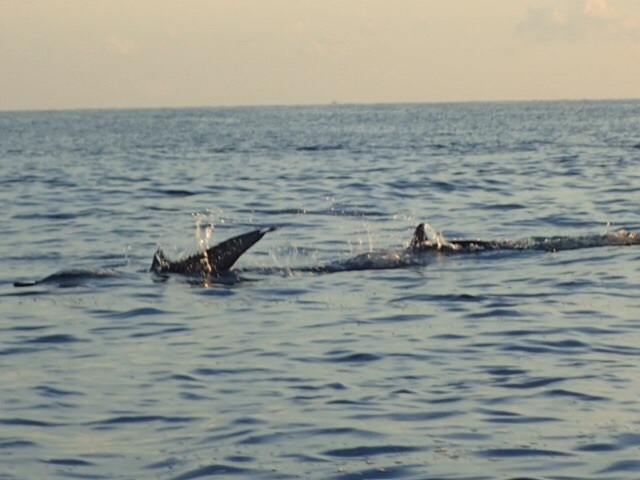 Then we gently moved about seeking little pods of dolphins who popped up now and then to everyone’s delight. Shiva and Parvati in high bliss have 2 children, Ganesha and Murrigan, God of wealth and war. Parvati and Shiva find the most beautiful mango. Both children want it. They say, the first to circumnavigate the universe will get it. Murrigan takes off. Ganesha instead walks around his parents. When Murrigan returns he protests. Ganesha says, Mother and Father are the universe. Pouting, Murrigan leaves and goes to southern India. Every year the other three go there in ceremonies to plead with him to return and the four are reunited for a time. Whenever you see a mango, pray for siblings to come together in reconciliation and for parents and children to come back together. With Ganesh the bus driver, we glide beneath penjors, past pi-dogs searching for the last remnants of yesterday’s offerings. Up winding hill roads, over volcanic pot holes, slowly, steadily, we navigate a path to gluten-free enlightenment sometimes succumbing to the lure of cosmic shopping. I see my baby now all grown, share knowledge and supportive love with elders. What came of 30 years slipped by so fast through time? 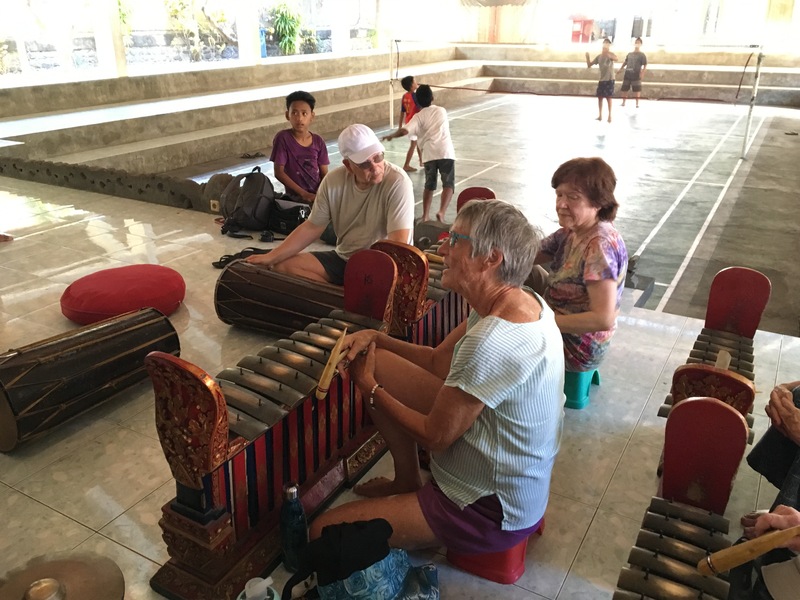 White flowers, colored flowers, silent meditations circle up with the smoke of incense around images dancing in their fresh white and gold, ready for ceremony amidst radiant children and the trance-inducing rhythms of the gamelan. 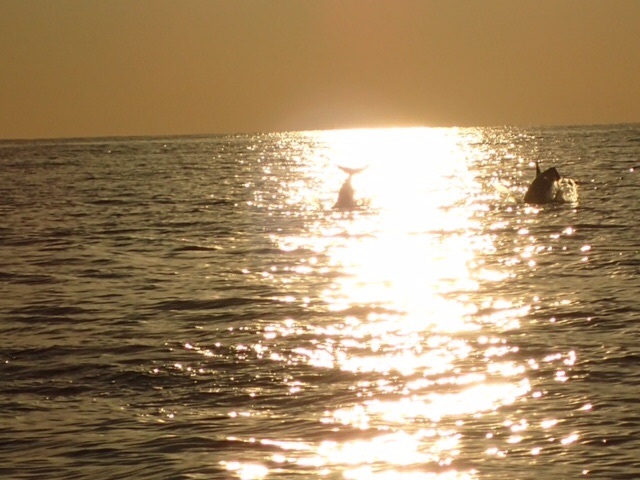 Outriggers return on sparkling sea from visiting dolphins eager to share enchanted delight. 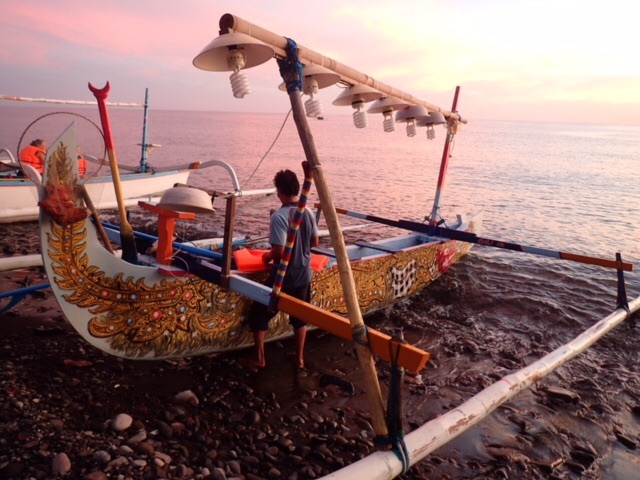 Fishermen laugh, I don’t doubt, at our age and enormity — while we celebrate a new way to grow old and hold the intent to be part of all that heals and wholes. 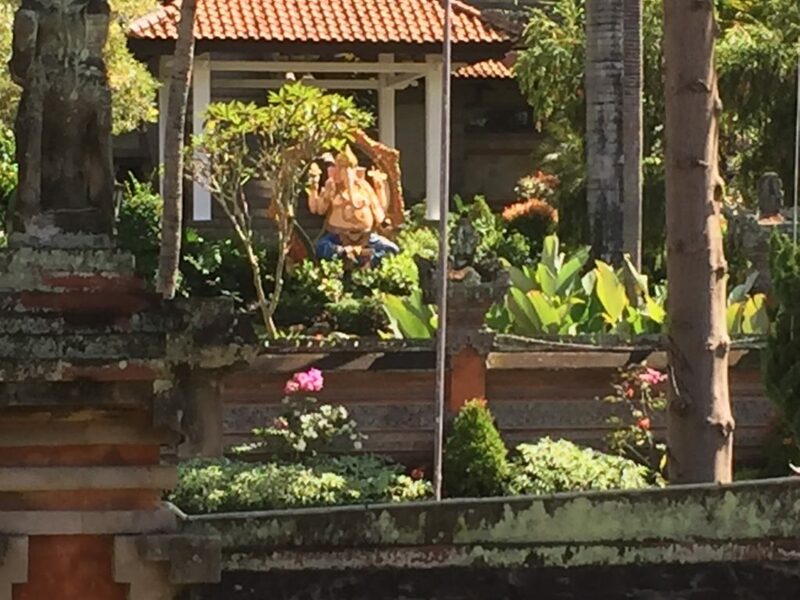 WIth gratitude and Ganesh we push through obstacles accumulated by the energies of life, and wonder at a world so exquisitely and precariously balanced between life and death. 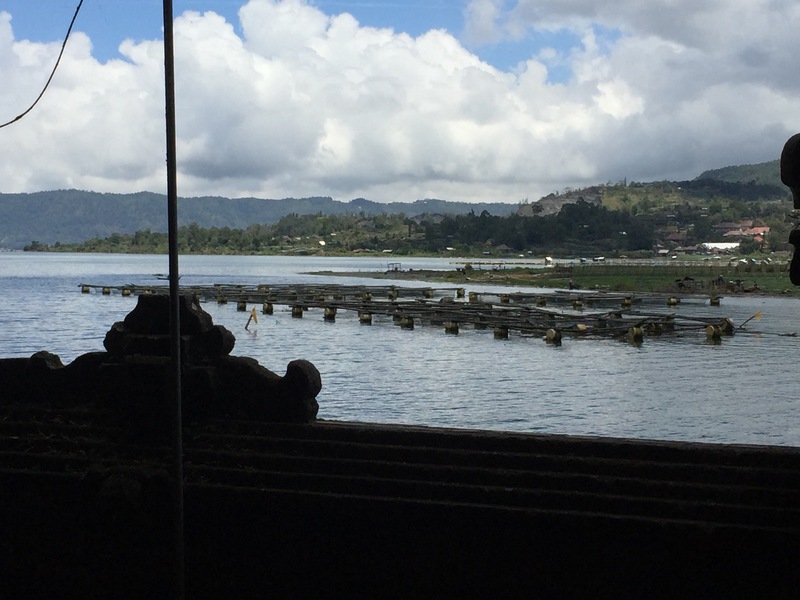 My eyes spring open to the light — now there is the smell of Bali Kopi. 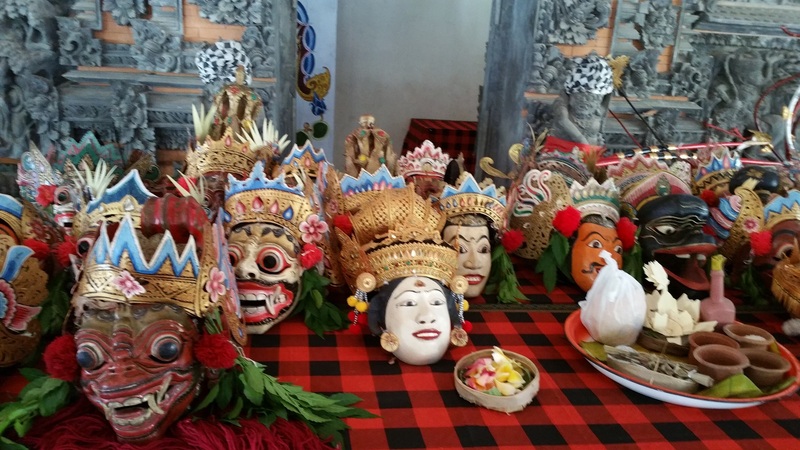 .. .
We visit the preparatory blessings of the masks for tonight’s Wayan Wong to be held at Gaia Oasis on this our last evening here. First we go to the temple housing the sacred masks that are not used for public performances at 6 am for a blessing of those masks. Then as tradition directs, we go to the cultural center where the public performance masks are being blessed after attaching fresh leaves. 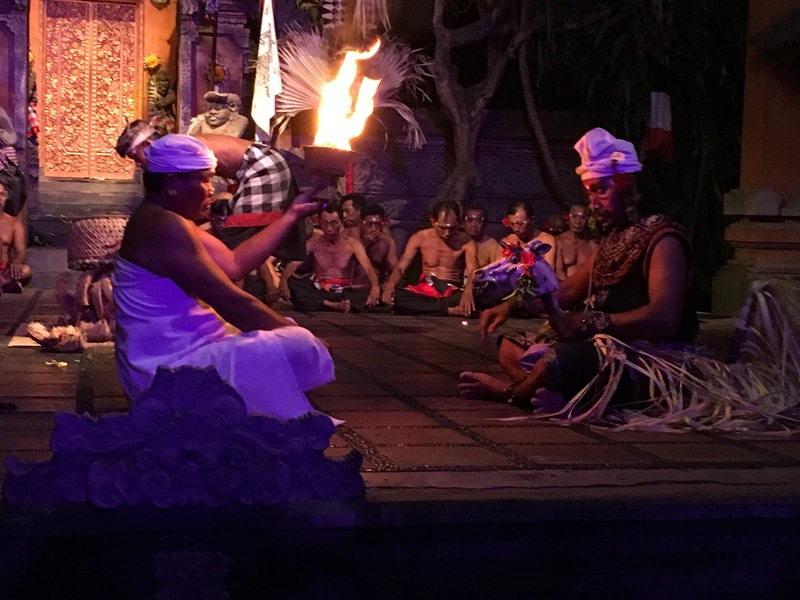 Guru Gede is on the left here preparing masks. 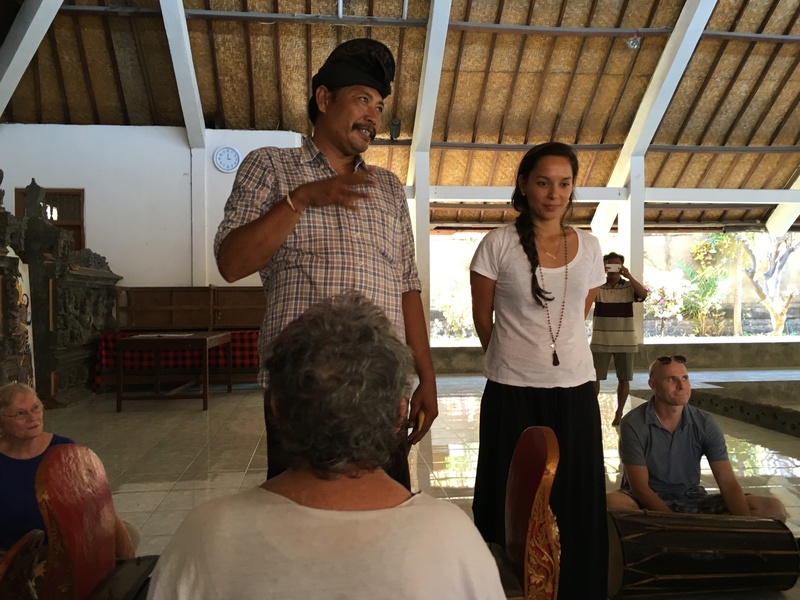 Yesterday he gave us a session on Balinese performance art, especially his mastery of traditional songs for the Wayan Wong. Sita’s mask is added to all the others in preparation for the blessing. 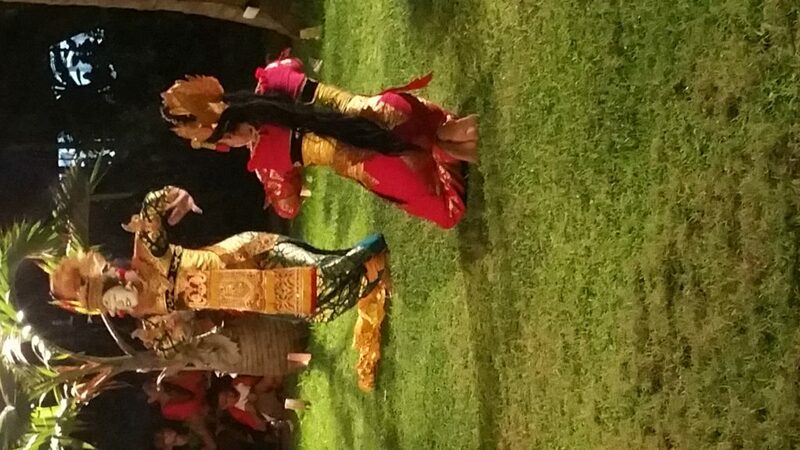 Sita surround by other characters from the Ramayana for tonight’s Wayan Wong. requires the worship of men. 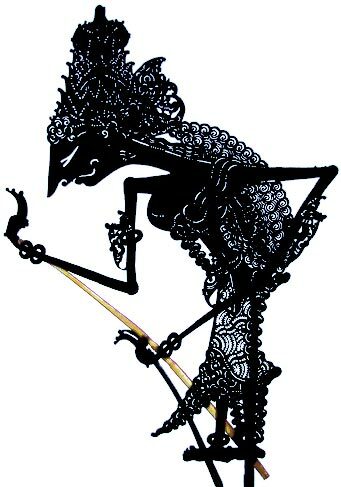 and has wasted his life, Arjuna. 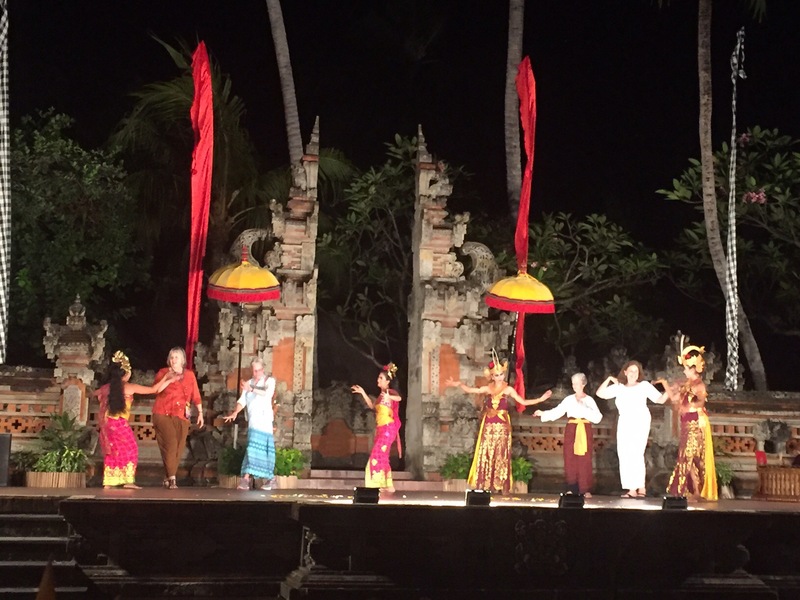 Our final evening in Gaia Oasis was spent at the grassy performance area next the ocean’s waves rhythmically accompanying a full gamelan orchestra, singers and dancers following dinner. 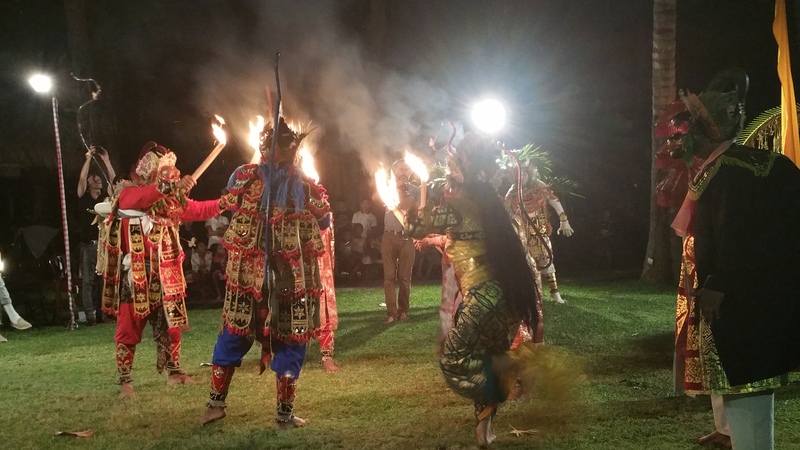 The Wayan Wong dance of the Ramayana story is recognized as a World Cultural Heritage treasure for its uniquely rich and ancient traditions preserved even now. 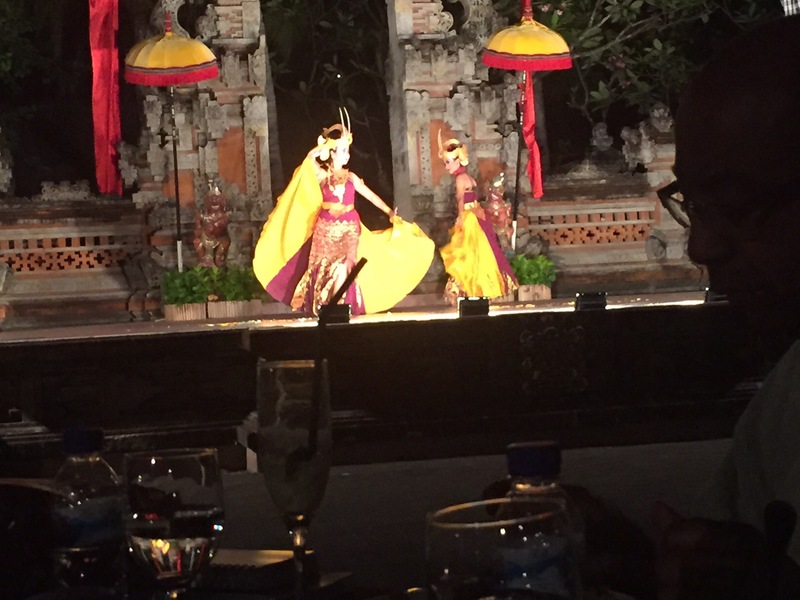 It is performed in High Javanese and Balinese languages. White monkey general Hanuman was a star of the show along with, of course Rama and Sita. Thanks to Sally Richman for photos and videos. 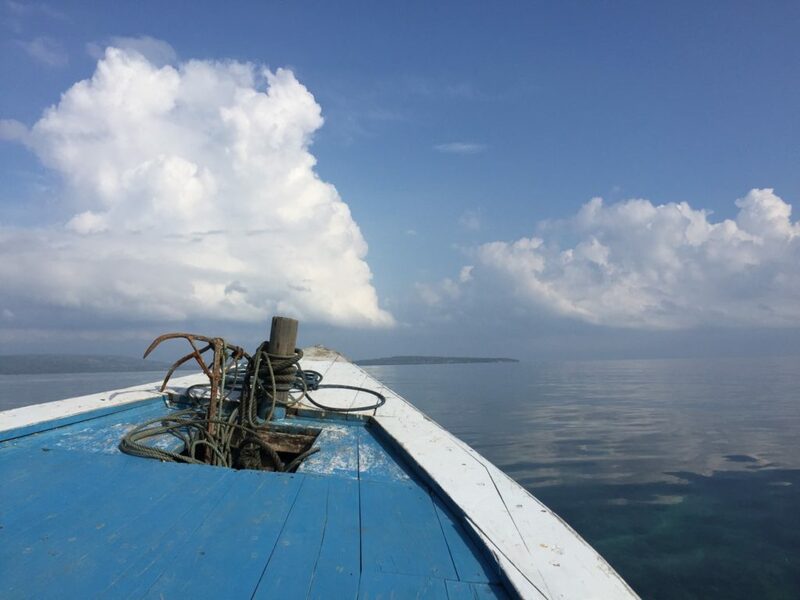 Arriving last night at Mimpi Menjangen resort at the northern tip of Bali, we boarded boats for a 45 minute ride to Menjangen island to celebrate the final day of Galungan. 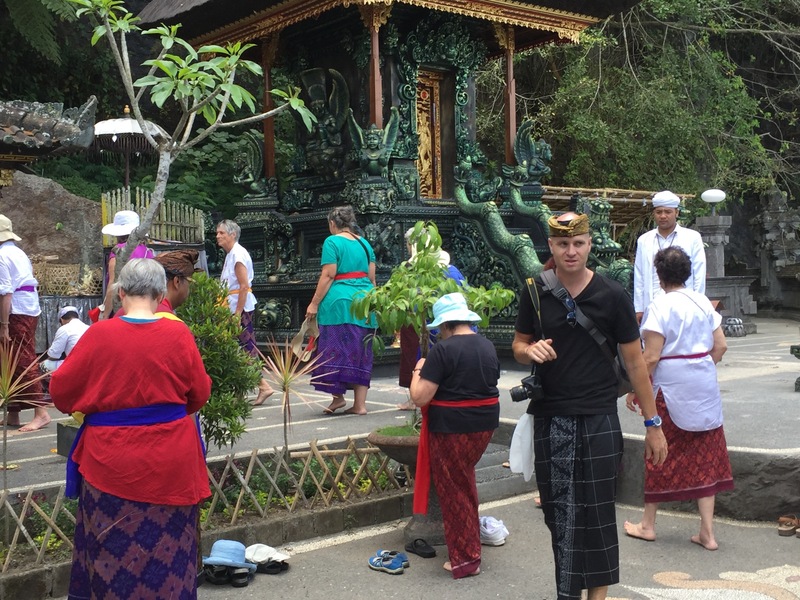 Greeted upon arrival with a tropical downpour, we enjoyed the drenching and then proceeded up to a ceremonial area of the National Park area of Bali. We prayed at a Quan Yin Temple and a second Wishnu temple, where a rearing horse greeting us as we entered. The Quan Yin temple was especially powerful to many of us, her presence of the compassionate heart shining forth. We arrived mid morning to precede the crowds of people coming on this special day, signifying the last, 10th day of Galugan. 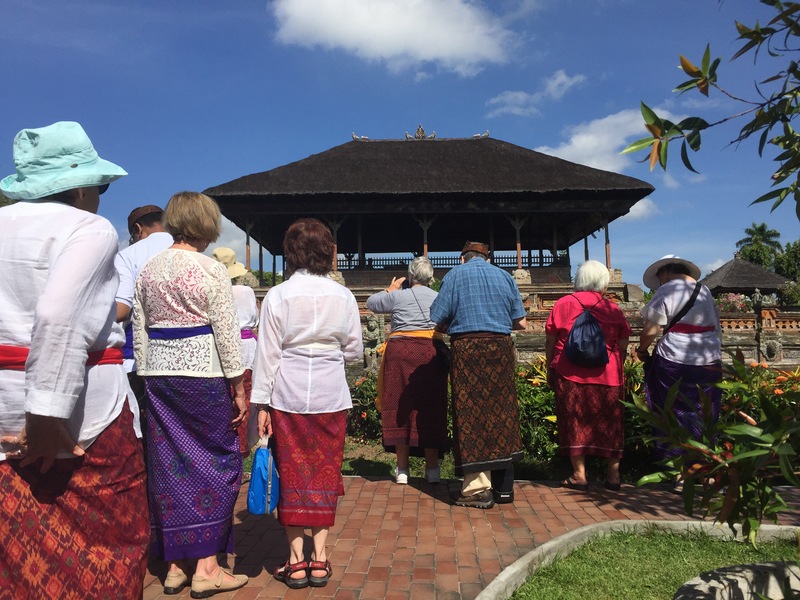 Beautiful Balinese families joined us with large offerings of flowers, fruit, money and food and prayers at each of the temples. 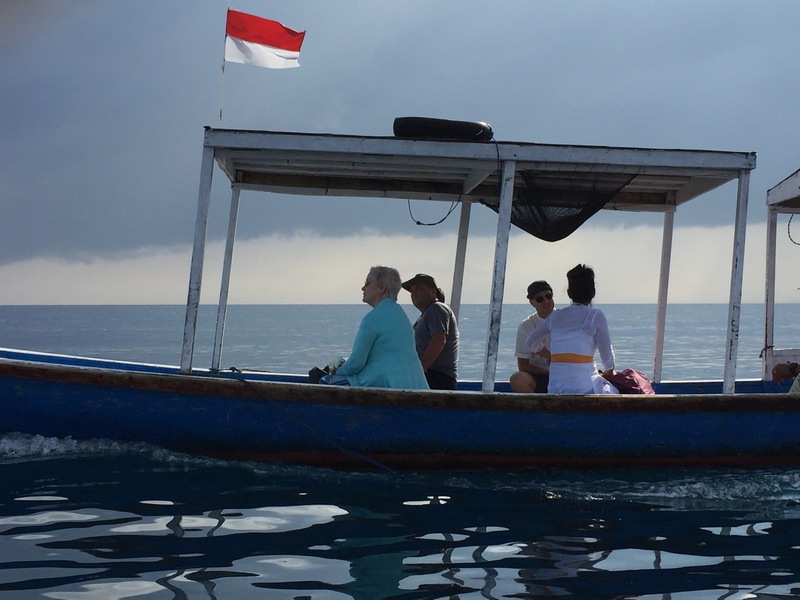 Peggy and our guides in their boat. 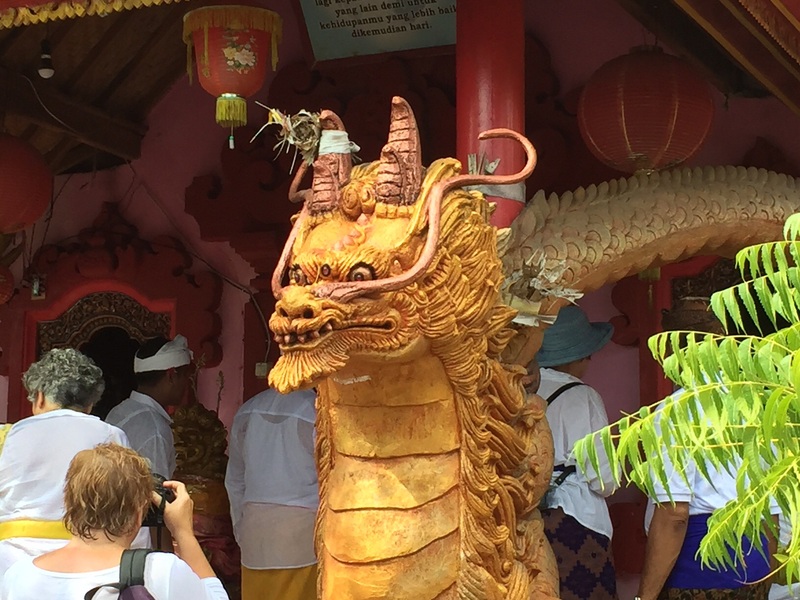 Climbing from shoreline to the temple area, two seahorses greet us at the entrance. An exploration into the fundamental mythic elements of creation and how recognizing and honoring them can increase our happiness and our human artistry. Her Presence Made Manifest: Tracking our actions in the world. 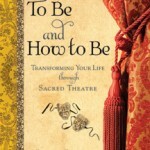 Sacred Theatre is about realizing you are the star in your own great and holy play. This year we pay attention to your play as part of the great story of life on earth. And the nature of your fellow players in this great play. 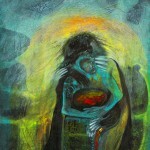 How we support, thwart, defy, delight one another in the revelatory process of homing in on the truth of our selves. Holy and not-so-holy; alive and not-so-alive, whole and fragmented. Faculty: Hans Christian, Apela Colorado, Jim Garrison, Andrew Harvey, Jean Houston, Caroline Myss, Karen Rivers, Peggy Rubin. Read the long, reflective review by Donell Miller, Ph.D. in Coreopsis, Journal of Myth and Theater. A brief excerpt: “Her writing style appeals. She speaks directly to me throughout the book, and I’m sure it will seem so to other readers as well. This is more a first and second person rather than a third person view. She writes from her heart the truth as she knows it. 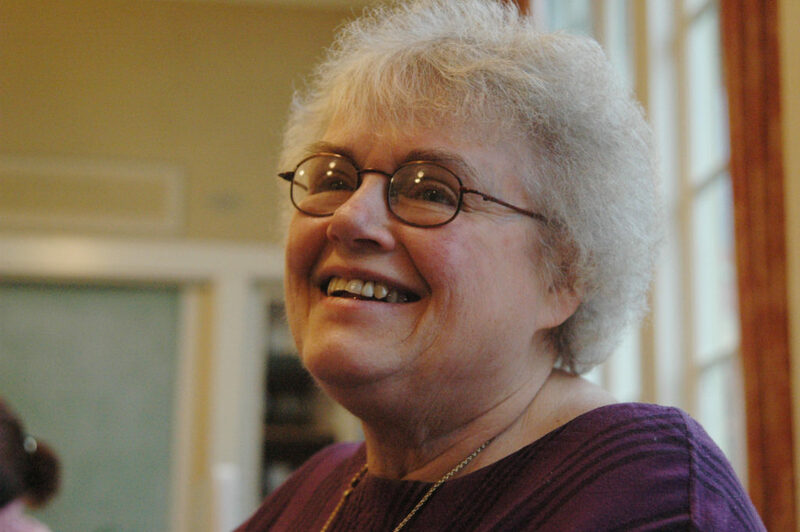 The magnificent Anne Baring, author of Dream of the Cosmos, reigns at Wisdom University’s New Chartres Academy of the Liberal Arts this summer, July 5-12, 2014. Happily for me, Jim Garrison, who dreamt this Academy, and presides over its continuing presence and wellbeing, has invited me to join the faculty. The New Chartres Academy celebrates one of the classical liberal arts each summer. This year is Dialectica (or Logic) and Aristotle is the presiding magus from the ancient world. I realize Aristotle deserves fame for many works, but for those of us who love the theatre, and the study of theatre, his name means “Greek Theatre Analyzed.” Aristotle is also known as a supreme master of logic. 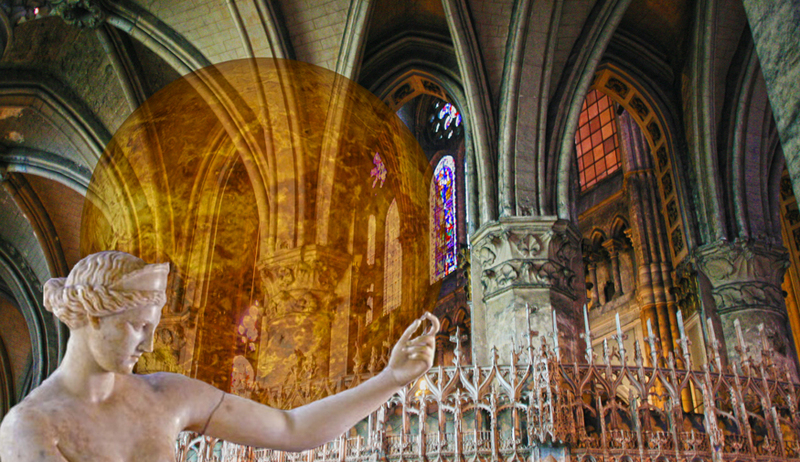 For our time, however, Jim Garrison invites us to lean into the discovery of a new form of logic, and this summer’s Chartres adventure will provide inspiration to lift us, as well as challenging ideas to test and explore. The staff and faculty at the New Chartres Academy provide elegant, meaningful, and profound experiences for people attending; and of course the town of Chartres and Chartres Cathedral are themselves exquisite teachers and wisdom carriers. Click HERE to go to the site for information about the Academy, as well as others of their splendid programs. 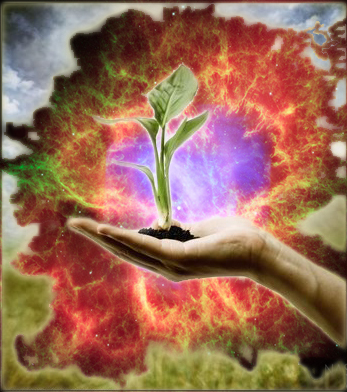 You’re invited to participate in 2014 sessions of the Evolutionary Journey. With wholeness our goal and joy our primary medium, we spend this time together exploring new ways of expressing our life work, our personal “letter to the world,” and the truth about the holy role we were born to play– fully, freely, passionately, and compassionately. During these magical days together, next to a holy inland sea, we declare our intention to move the story of humankind forward through our own lives: the way we live, the way we see, the way we care about ourselves, about others. We will each be envisioning and igniting a refreshed, refreshing and empowered model for ourselves and our world. Embracing this model with all our hearts, souls, bodies, and minds must and will benefit each of us. Come add your glorious self to the mix of incubating possibilities. The future story of humankind always depends on you. Bliss is the birthright of human beings. We will seek it together, inhabit its vast oceanic wonders together, and create from its mysteries. And design ways to maintain the reality of this bliss miracle throughout our daily lives. The work for 2014 honors the presence of the Feminine Divine One(s) in our lives. We will create and re-create words, art, movement, and music for A Book of the Lady, or Goddess Bible, “for our daughters’ sakes.” This project has permeated my life for the past 15 years. 2014, 2015, 2016, are the designated years for this idea (assignment) to come into form through the work of sacred players who feel called to participate. We begin. Through meditation, conversation, process, we enter into a covenant for the work together, dedicating ourselves to the process, and all our work to the benefit of the children of the future. We stay the course. Acknowledging the power of these hallowed days at the end of the Celtic year, we review the paths where The Lady has guided us, harvest our learning, and prepare for deeper revelation as we enter the dark months of the year. In The Lady’s Year of Joy, these days at the close of the calendar year provide open moments for the birth of the gods of joy: five kinds of gods, five kinds of joy. During this retreat we discover Her power to change us through the alchemy of radiant happiness. Evolutionary Journey was a three-year series conducted 2013-2015 by Peggy Rubin and friends in Ashland, OR. Here are posts about the three years’ events. . . .
Just as every atom in our bodies had its origin in a distant star system, so the story of life on earth had long ago beginnings, yet the puzzling fact remains that there may have been no real starting place. Buddhists describe existence as interdependent co-arising – a beautiful phrase – whose meaning we will contemplate as one way of welcoming the indwelling presence of something ancient, secret, and holy, something we can call Divine. Here we acknowledge the exquisite kindness shown to us by others and begin to notice how richly our own actions, words, movements spring from an indwelling source of care and caring. Each moment a blessing, given and received. We grow ever more conscious of the flowing abundance of grace, which only takes a gentle priming of the pump of awareness to notice how brightly the Earth shines, consciously filled with compassion and loving-kindness. 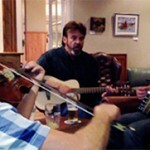 All sessions begin on Thursday evening at 7:00 and continue until 2:00 Sunday afternoon. They take place at Hidden Springs Wellness Center in Ashland, Oregon. A 200,000,000 year journey on the Evolution Train begins with a single step. All aboard! An exploration in “mythic biology” to discover and acknowledge the nature of the Feminine God, and to rejoice in Her pervading presence throughout our lives: past, present, future. During these days, we trace our mythic beginnings and the potency of gestation times. We activate images of the Divine Feminine through stories and personal experiences and begin to track Her role in guiding our decisions to live on this earth and become fully human beings. We look at the programming each human inevitably receives, and seek new ways to re-pattern those ancient, largely subconscious beliefs that have failed to create joy and aliveness. Through processes of imagination and meditation, we strengthen those parts of our lives that clarify purpose and bring soul-level satisfaction. In this weekend’s work, we deepen into a profound awareness of the many faces of the Divine Feminine. We find the ways we share roles with the Great Goddess: as Creator and Destroyer; Nurturing Mother and Devouring Mother; Initiator and Initiated; Lover and Beloved. We begin a process and practice of imagining how it might be to embrace the role of the Goddess in the world: caring, cherishing, creating as Her hands, Her face and voice, Her heart. During this long weekend, we seek healing images and strategies for our lives and for the world, along with modes of sustaining balance, energy, and passion throughout our years. We remember and learn to apply Her ways of renewal and commitment, and Her wild joy. We look for and find Her everywhere. Everywhere. 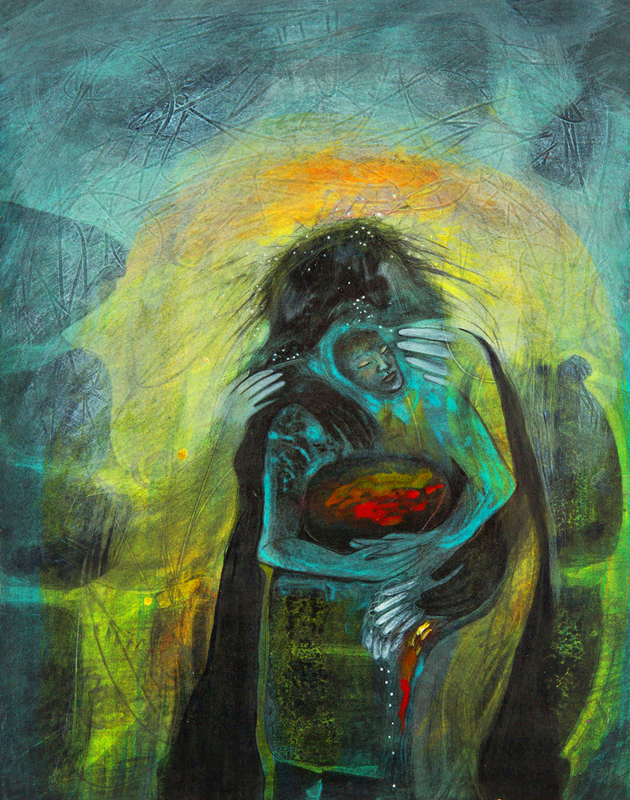 This final meeting of the year’s Evolutionary Journey into Creating Ourselves Anew–in Her Image demonstrates the immensity of Her presence, Her grace, Her wisdom, Her way of blessing. And the intensely personal interrelatedness of Her caring. Just as the devotees of the ancient mysteries of Demeter and Persephone felt their lives renewed by practice and ceremony, so may we re-enter the world as rededicated lovers of life. Rejoicing to be servants of life. The weekends are designed to carry cumulative power, though each is a “stand-alone” experience. You are invited to participate in one or more, though ideally all four. Please join this journey and know you will be welcome. Your reflections, experience, balancing power are needed to remind us that the Great Goddess enjoys abiding relationships with all the faces of the Divine Masculine. 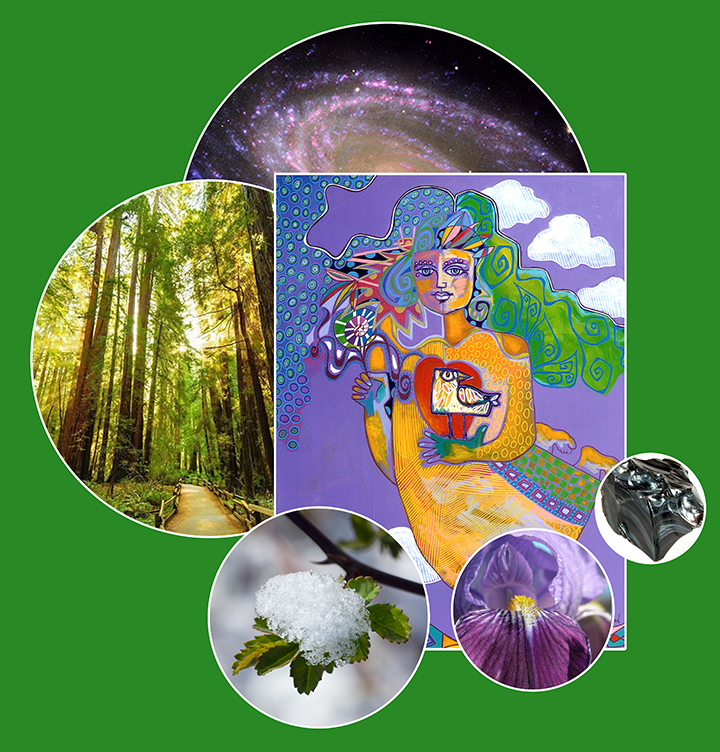 You’re invited to participate in the fall and winter sessions of the Evolutionary Journey from Creation to Creativity. During the first three sessions, in February, April and June, we focused on the over-ground journey toward evolving richer, more outward expressions of life as a work of art. In November (1-3) and December (6-8) our attention will be drawn to the root systems of creativity; in other words, going underground to find the sources of art-filled life. How do we source our creativity? How do we nurture it? How do we sustain it? How do we share it appropriately? 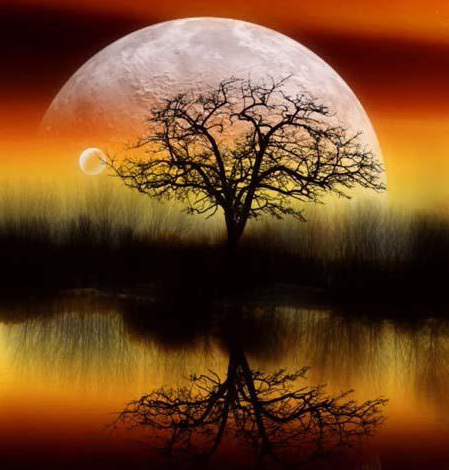 November focus will be on the root systems of the Trees of Life, Love, and Joy, and how our dreams provide sacred material to feed those roots. In December, we honor the source and support of the Trees of Beauty, Inspiration, and Imagination, and pay attention to how we seed our lives as art for the days and years to come. We will review the journey from the heart of creation through the metaphor of the trees of Life, Love, Joy, Beauty, Inspiration, Imagination, Creativity, and Art. The desire is to bring us securely to a crowning moment, one in which we acknowledge and rejoice at the amazing opportunity we share to serve the world with gladness. As the work of art that is life itself, created moment by exquisite moment. We will also be working in the mythic realm to transform the idea of sacrifice into the joy of making an offering. This session focuses on three parts of the journey from creation to creativity: Beauty, Inspiration, Imagination. We’ll explore stories of Mythic Communities, celebrate the principle of liberation through sharing a Seder dinner together, look at the ways beauty heals us, the ways inspiration moves in us, and enjoy imaginative flights to other realms. All in service of making our lives into works of art that serve and enhance the world. Not bad for an April weekend. April in Ashland, what could be better? The only thing that would make April better than it already promises to be would be to have you sign on for the Gathering at the Ashland Community Center, 59 Winburn Way, April 5-7. The first weekend in February provided a splendid rallying around the sources of Creation and Creativity, and gave us a sense of belonging to a Mythic Community. Some members of that community recently wrote about their experiences, and you can read their words at my new website by clicking here. There is a holy space waiting to be filled by you. A space only you can hold. A community of supportive, cherishing individuals. An opportunity to discover and to practice what you were born to do. 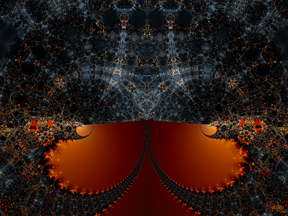 An injunction to make something beautiful, and dedicate it as an offering to the life. Discovering that Your Life is Your Art. And you are what the world needs now. -Tomaseen Foley, Celtic storyteller, describing his memories of life in rural Ireland when he was a boy. I’m dreaming of a community that not only forms the shining axle Tom describes as the hub of the universe, this community also practices the essence of the universe: unquenchable creativity. Creativity in life poured out as an offering to all that exists; in an untiring expression of the miracle of life’s gifts; creativity in the practice of joy. This community I dream of partners the universe, reflects the universe, sings to the universe, evolves the universe. You’re invited to help form this community and to participate in this community. 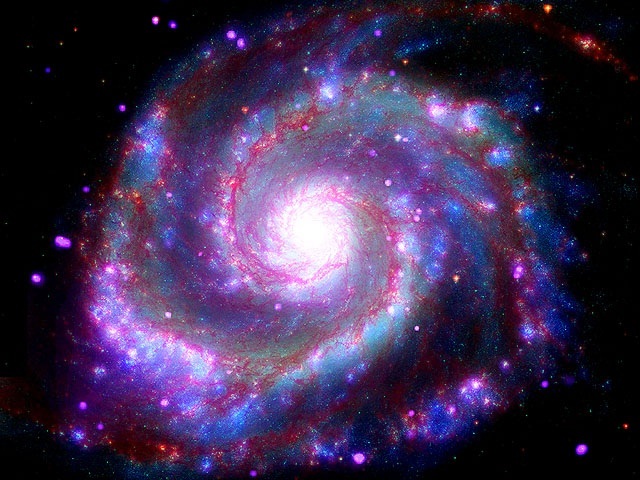 And enjoy the process of helping the universe turn through its magnificent cycles of creation and recreation. Here are plans for the first three sessions of this community gathering. Stabilizing our lives in those potencies. coming home with their riches. as works of art in action. in Oregon has actively supported music and musicians in many ways. Ilana is best known for her unique physical and psychological work described in her elegant book, The Listening Hand. Her book explains how paying exquisite attention to the body when working with psychological issues can provide deep and lasting healing. However, in her earlier life, Ilana worked as a music conductor. And on this recent Sunday afternoon, she appeared onstage as guest conductor for the Southern Oregon Repertory Singers, Ashland’s amazing choral singing group, and led the group in songs that celebrate Hanukah, the Jewish holy days of midwinter, announcing the return of the light to a darkened world. Ilana stepped up onto the podium, with a little difficulty (she’s my age), spoke briefly about Handel’s oratorio, “Judas Maccabaeus,” and the triumphant piece that crowns it, which she then conducted. Then she described a work written for Israel’s first choral music festival, held in 1958, which she had actually attended; then, complimenting the choir’s immaculate Hebrew (she had made sure it was immaculate), led them in that piece. The last song was a traditional Hanukah hymn. Talk about the Listening Hand! Every part of Ilana was listening, guiding, inciting, while engrossed and transcendentally aware, — in a word, absolutely and totally alive in the music. So were we watchers and listeners in the audience. Reflecting on those moments later, as I have done consistently through the days since, it seemed to me that I witnessed someone doing what she was born to do. And doing it exquisitely. Now it well may be that she did not experience it like that: artists have a consistent and pervasive “divine discontent,” but she was up there; she had prepared, she had rehearsed, and she was doing what she was born to do. My goal for this next year’s gatherings on the Evolutionary Journey is to have each participant able to say some way some how, “I have lived on this earth and known glory!” And then have another ten minutes of glory, and then another, and another. For all the rest of our lives, doing what we were born to do. And doing it within a community of colleagues, allies, well-wishers, friends. Come join the celebration! Doing what you were born to do, and witnessing others doing the same! My earliest experience of professional theatre happened when I was a girl in Texas. The family made a trek to a huge Houston auditorium to see what they told me was called a Passion Play. I didn’t know until I got into the theatre what that Passion meant: Easter week in the life of Jesus. Certainly a story I knew well in those days; my family members were dedicated Christians, Methodists. And passion was what I felt. Not just for the story itself, but for the tremendous difference I experienced when the story was enacted. To see actors alive on stage, living a story before my eyes! What was born in me that day so many years ago was certainly passion, a passion for live theatre, for sacred plays. In a recent conversation with another dear friend, I realized that’s what I want to do with the remainder of my years: provide a “stage” for people to recognize, celebrate, perhaps even enact, the passionate stories of their lives. Thus was born my work for 2013: a series of Gatherings in which participants make a journey from the creation of the universe all the way to active, individual creativity, learning to know themselves as passionate artists of life. It’s called an Evolutionary Journey, from Creation to Creativity, and we will meet here in Ashland, OR. We anticipate six sessions next year, and registration is open now for the Spring/Summer Series of three. Sessions will build upon one another but you can attend them individually, too. See more about it below. 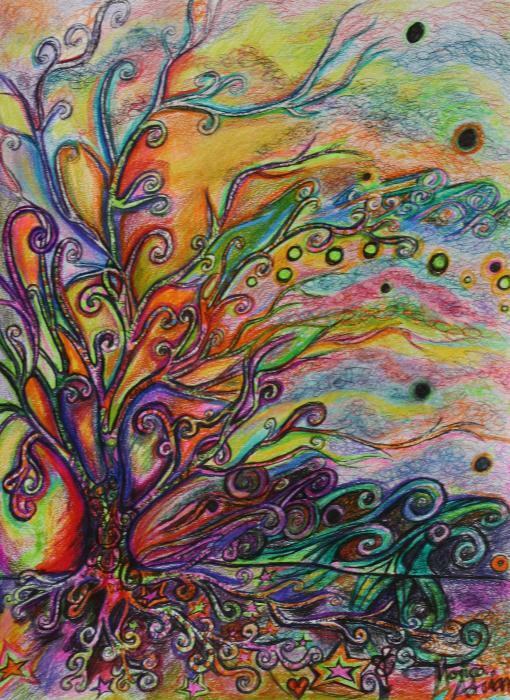 A new understanding of the traditional images and metaphor of the Tree of Life, enlivens the evolutionary journey toward creativity and the artful life. * Our Universe spins out our earth, Gaia, as an offering to the All. * Gaia, using all the gifts she is given, creates Life, and makes Life her offering to our Universe. * All the gifts of Life come together and create the “ten thousand things.” But for the lineage of Creativity the most important of those is Love. Love then becomes Life’s offering to the Universe and to the All. * The great gifts of Love form a perfect offering to All that is, and that offering is Joy. * Joy takes all her gifts and creates her offering, Beauty. 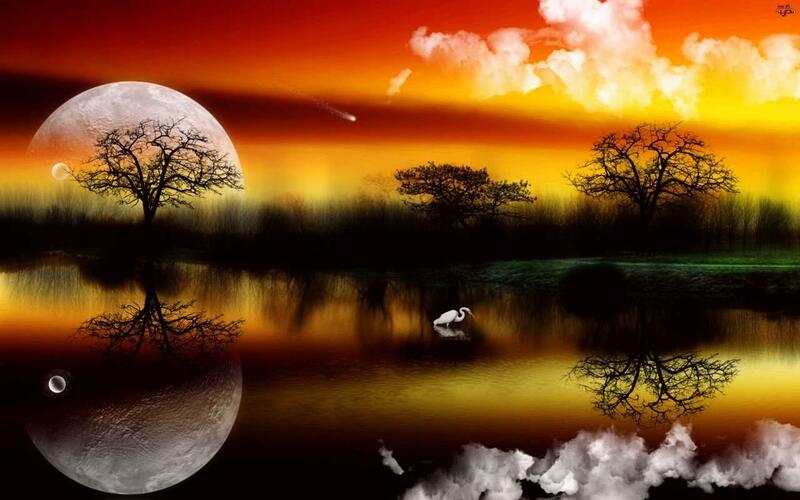 * Inspiration similarly utilizes her gifts and creates the Imagination as her offering to All. * From the gifts of Imagination comes an offering of Creativity. * From Creativity comes Art, and each individual life as a work of art in process. Our work as human beings is to craft as beautiful a work of art from our lives as possible, and then to make that artwork a dedicated offering to whatsoever we sense is greater than we feel ourselves to be. Thus was born my work for 2013: a series of Gatherings in which participants make a journey from the creation of the universe all the way to active, individual creativity, learning to know themselves as passionate artists of life. It’s called an Evolutionary Journey, from Creation to Creativity, and we will meet here in Ashland, OR. Yesterday, mists and gentle rain fell from a sky made buoyant by clouds carrying many shapes and shades of grey. The blistered Oregon earth welcomed the rain and the promise of rain as only she can, with wide-open welcoming arms. After so many weeks of fires all around us, and smoke dense enough to cut, the sky looked beautiful beyond description with all that rain in its bosom. The teaching of the summer weather and events can be summarized: Creativity is the Default Position. No matter what is happening around us, we can generate something new – a drawing, a poem, a pot, a prayer, an image – to help express the story of what we discover while creating. Even in the middle of a world on fire. 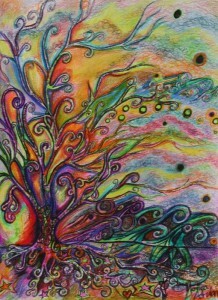 During the two final sessions of our Evolutionary Journey, we explore the root systems of creativity. How do we source our creativity? How do we nurture it? How do we sustain it? How do we share it appropriately? Traveling as the “entourage” of Dr. Jean Houston, and feeling resistant but resigned to the whole thing (China being “the last country I have any desire to see”) what to my wondering eyes should appear there but beauty, kindness, courtesy, hospitality, greenness, a sense of solid groundedness in a history that includes every possible thing, and an ocean of legend, tradition, and story. All alive and welcoming. We were guests of the government of China at a conference of the Taihu World Cultural Forum, to listen and discuss issues of creating an Ecological Civilization. Ervin Laszlo, noted artist, scientist, educator, philosopher, writer, and one of the founders of this Forum, was the reason Jean was invited, and I got to go as her companion. We listened and talked and wondered and pondered, and met people from 32 countries, each with a different point of view, and each concerned about how to create in Jean’s words, “a world that works for everyone.” And a world in which everyone has access to clean water, air, and soil. And enough food. 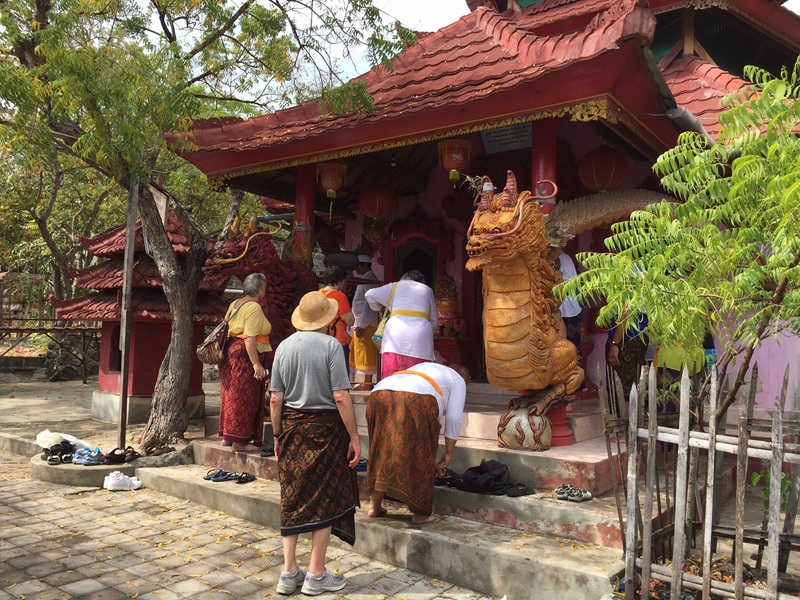 Celebrants honor the Buddha’s birthday. The Chinese, who have taken seriously their desperate need for clean air and water, want to make it clear to the rest of us that they are willing to take the lead and get the job done. The Cultural Forum is named after a Taihu Lake which until a few years ago was dead, but because of their determination to clear and cleanse it, is now alive again. The city that played host to the Forum is Hangzhou, some 150 kilometers southwest of Shanghai, 2200 years old, with a civilization stretching back 8000 years. 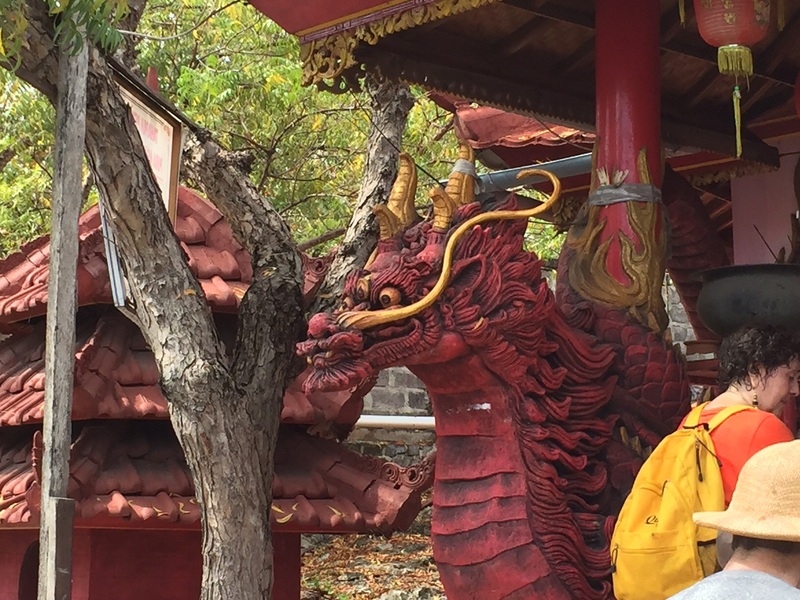 It is home to numerous Buddhist shrines and temples, in a landscape filled with Taoist and artistic inspiration. Most important to me, Hangzhou is the site of the legend of the White Snake, a story that came alive last year in an unforgettable production at the Oregon Shakespeare Festival. It tells of a wise snake who studied Taoist texts for centuries and learned the secrets of transformation, became a woman, fell in love with a human, and endured fierce trials and battles for that love. For the Chinese, it’s first and foremost a love story, but like most ancient legends, holds many meanings. 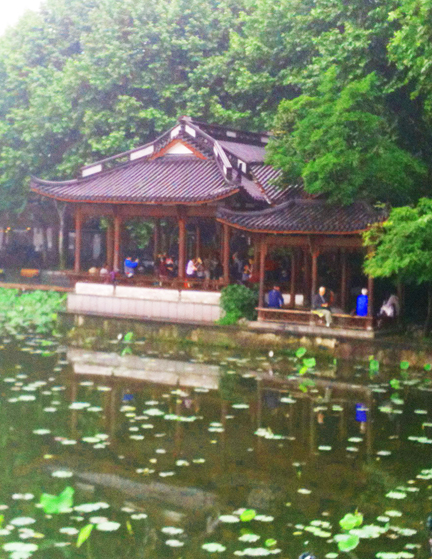 Hangzhou’s beautiful West Lake is the site where the White Snake met her human love. We believe stories. We tell stories to ourselves. We tell stories to others. Stories challenge us; stories evolve us. We pay attention to stories. They create a cauldron of plenty that sustains us in hours of sorrow and pain, exalt us in hours of joy and delight. Now and again we notice how stories are related to one another. Sometimes we stir ancient stories of creation and world-making into this cauldron; sometimes we discover or make up delicious stories of love and desire, and add them to our storehouse/cauldron. However we play with stories we find they can open doors to the land of the soul and illumine pathways to healing, to wisdom, to the fullness of Being. That’s our goal for Sacred Theatre in 2013. Finding ways to the Throne of Being through the power of story. We will gather stories, enact stories, honor stories, inspire new stories, change stories. Elaine de Beauport, author of a wonderful book, Three Faces of Mind, and a fearless, daring explorer of the brain, the mind, and the soul, died earlier this month after a long and gallant contest with multiple myeloma. The school she founded many years ago, the Mead School, will host a memorial in Elaine’s honor in May. One of her longtime students and friends, Irena Rutenberg, had a sweet thought: each of her friends could devise a statement as though we were composing an epitaph for Elaine. Mine is, “Elaine lit a holy fire in my head; her heart ignited it, her teachings fed it, her wisdom gave it a song to sing.” I can never thank her enough. A many-years project will go on line interactively in 2013 as HerGospel.com. The Book of The Lady, a bible presented from the point of view of the Divine Feminine carries a new title, The Gospel According to Her, and will include ancient stories of the goddess, along with art (both ancient and modern), as well as stories, poems, and praise songs written by people today. Read more about this project here. I am above, below, within the Chaos. I invite you into the Darkness — beyond and before and after Time. This is your Source, your Origin. come into my all-holding embrace. I am the energy that shapes and holds universes together. Can I do any less for you? of new birth — persistent, insistent. you to recognize it, to become it. though it may feel like it. I am holding your becoming. Read more about The Gospel According to Her HERE. 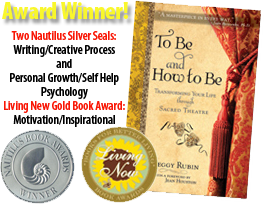 The prize-winning book that invites you to Transform your Life through the Nine Powers of Sacred Theatre, is now available as an e-book. The publisher, Quest Books, says it can be found anywhere on-line books are sold. Download it now, and carry it everywhere! Find out more about the book HERE. This work is one of the subjects of Peggy Rubin’s 2016 Writing Retreat, where she will develop aspects and components of The Book of the Lady. 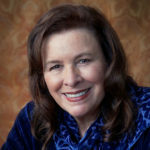 In 1999, while attending a conference in Ireland devoted to the Sophia, great lady of divine wisdom, I received an “inner” assignment: “Begin compiling a Goddess Bible.” This inner directive described the need to reawaken to the presence of the Feminine Face of God, and to find ways of fulfilling that need, through telling and writing stories intended to serve well the next generations. 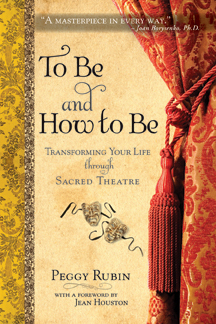 During these past years, many Sacred Theatre workshops have been devoted to an exploration of people’s experience of the Divine Feminine and her multitudinous faces, many of them veiled or otherwise hidden from us by our Western culture and ideology. Much of the work has been through the processes of imagination, and dreams, and our desire for a feminine god, or at least a female partner to the male god. We have studied Her history and traditions, journeying to many places in the world where the Great Goddess survives in landscape, mythology, and in modern worship, primarily as the Holy Virgin. Many of us have felt a touch of Her presence in ancient temples, on holy hillsides, at the edges of the sea, or deep in the crypts of cathedrals. Preparing for one of those journeys, “In the Footsteps of The Lady,” I read a remarkable book, called When They Severed Earth From Sky: How The Human Mind Shapes Myth. The authors, Elizabeth Wayland Barber and Paul T. Barber, clearly state that not a single archetype or god is present in their work – they set forth the theory that our minds “create” such forces as gods, and stories about gods, when we experience some ferocious overwhelming cataclysm. They describe several world-shaking events of the distant past – volcanic explosions, huge earthquakes, monstrous tidal waves – and demonstrate how these must have affected the brains and minds of survivors. These catastrophic events set the basis for many of our belief systems. 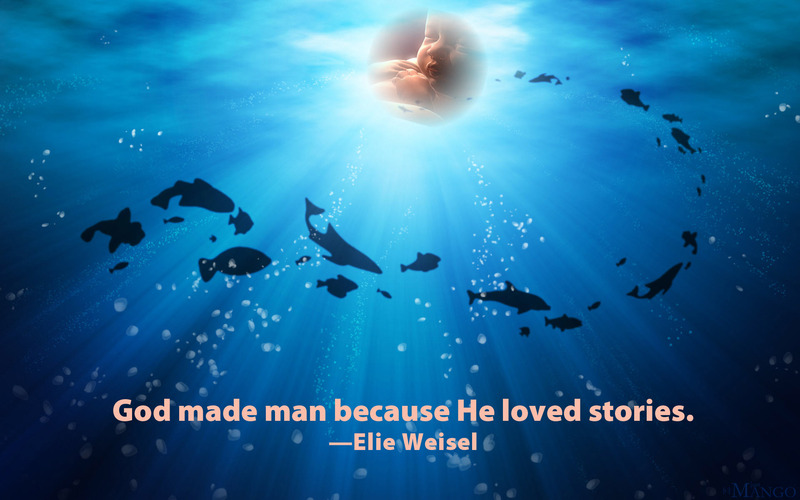 As humans, we love stories, and we like to add our own versions to those we hear; so our ancestors adjusted, added on, and corrected the stories, and after many generations these stories came together into something that could be called religion. Naturally new wisdom was generated by great people of spirit: teachers, prophets, visionaries, poets, artists; they added their knowledge and brilliance to the mix. From all this, vast traditions were created; each intended to sustain and nourish those people nearby, living within a shared landscape, all bearing the collective ancestral memory of the cataclysms that shook that landscape in the beyond-history past. Sometimes the teachings seemed so powerful, so vital to the human spirit, that they inspired a desire among followers to share the teachings with others from other lands. This movement of the tradition, or the religion, across space and time gave rise to an outpouring of further stories – celebrating the ways the good news made its journey from India to Tibet, for example, or from the land of the Huron to the lands of the Seneca, or Jerusalem to Rome, or Arabia all the way to Spain and Java. 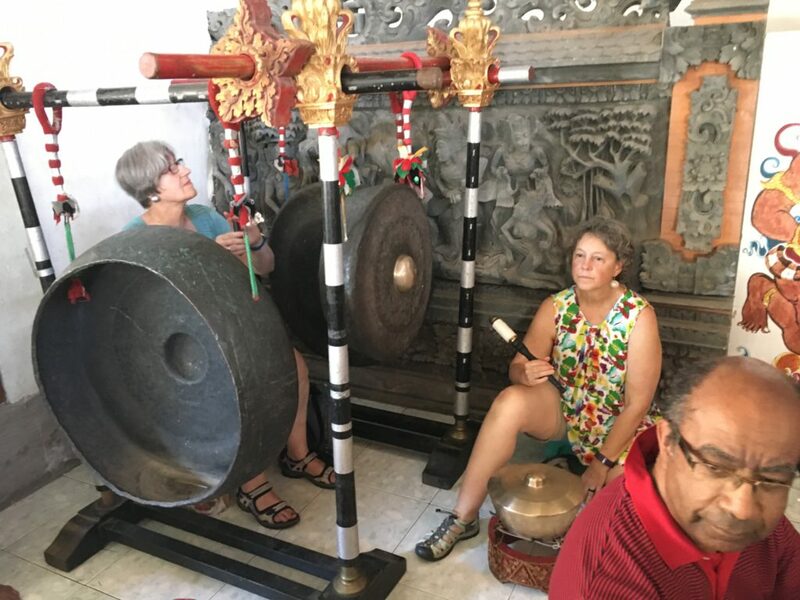 These in turn inspired others to create records of the teachings, records of the traveling stories – on palm leaves, papyrus, tree bark, and in the vast caverns of human memory. Finding ways to commemorate these stories, and the miraculous events accompanying them, inspired still others to honor the story by creating mounds, cave drawings, monuments, temples, mosques, shrines, psalms, books of wisdom teachings, sculptures, paintings, oral traditions, laws, ceremonies, scriptures, and by setting aside specific places on the face of the earth as home for the unseen holy ones. Painfully, many traditions traveled with invading armies, representing a tribe or nation wanting more influence, more riches, and more land. These onslaughts extended tribal influence to the point of empire, but the results also included an incalculable loss of human life, human culture, and human gods. So it has been in recent conquests, which have devastated many of the people whose traditions were based in understanding and cherishing the earth. A much earlier series of conquerors laid waste to worshipers of the Female God. A tiny fraction of all these “old ways” still survive, in songs, folk tales, place names, human memory, and human imagining. Today’s catastrophes, terrifying as they are, may yet instill in us a capacity that will “sever us” from the need for conquest, the arrogance of material riches, the brutal misuse of the earth’s resources, and bring us to renewed appreciation of ancient earth-based ways of knowing, as well as invite us to create a sense of Divine partnership and balance even as we grow toward deeper appreciation of human male/female partnership. This is not to suggest that there is not an already existing, all-permeating, all-creating force that is the One True God, beyond all duality and all human stories. However, I do not have the imagination to hold such a One. No god I can imagine could possibly be the real One. 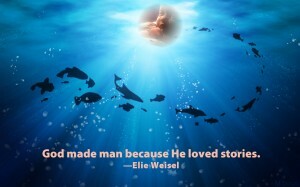 But I can make up wonderful stories about a god I would like to believe in. And the One who brought the cosmos into being has created this universe in such a way that we can affect it, we can intend and create something truly rich and strange from the realm of all possibility. And with enough time and belief – and the all-important telling of the stories – that god would come to exist, or to have as much existence as any living thing can be said to have. And the more I believe, the more actions I take in support of that belief, the more real that god becomes. The more love letters I write to the great god I imagine, the more hymns and praise songs I invent for this god, the more I bring Her/Him (or both) into being. And the less time I have to moan about the state of the world, or whine about how hopeless it all is. Thus, the Book of the Lady Project today (the Goddess Bible) and now called The Gospel According to Her has evolved into a means for inventing new stories of partnership, friendship, love, and creation between and among the gods, male and female. All the gods and all the stories we can devise, imagine, remember and honor. And asking these gods in their highest playfulness to take up residence in our souls, so that we may have the juiciness and joy to bless the world and all Her children. it is an open-ended book. It will never be the foundation for a religion, or create any reason for one person to hate another. It is written to celebrate The Lady, and it cannot be anti-male. Stories can include aspects of Her presence in all things, her myriad and pleasurable relationships with the Masculine God — as His mother, lover, sister, spouse, daughter, muse — as well as tales about her workings when she seems to be alone. Every person and every being carries a part of Her story. What might a Great Goddess have to say today to modern women and their daughters? Men, too, of course. What does she want; how does she appear? What is her role in human life, in planetary life, now in this moment? What would we like her to be? What can we do that will enhance her? I believe she is present in women’s lives, as we live them, and by centering on her aliveness, we can begin to express her fully and effectively. Our work is to seek her, discover her, invite her, celebrate her and know her to be unfailingly present and cherishing in every season of our lives. And to embody and live that truth for our daughters’ sakes – and sons, husbands, brothers, lovers, too. Most important, to tell the story of her aliveness in and around us every where, through all the seasons of life. Meditate, study, ponder, and then begin to create hymns, laments, prayers, praise songs, art, designs, and stories, stories, stories.